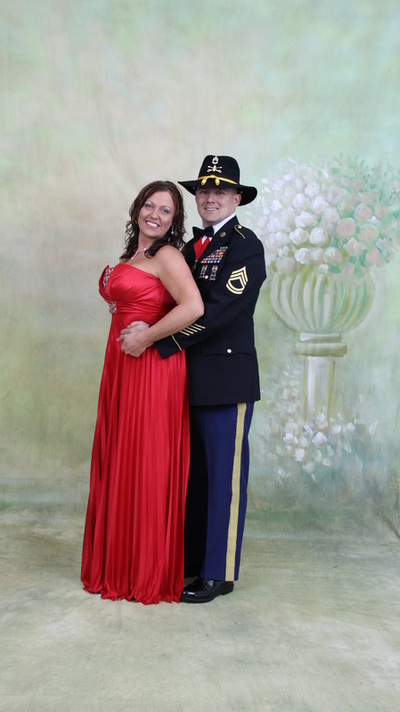 Scroll down to see the images & get your copyright. 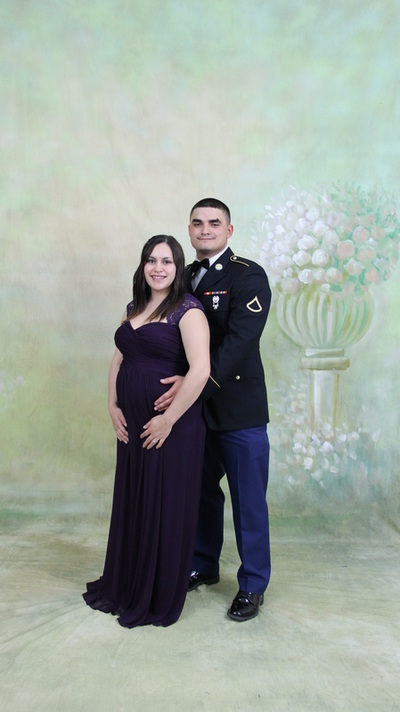 Don't forget to enter the Contest!!!! 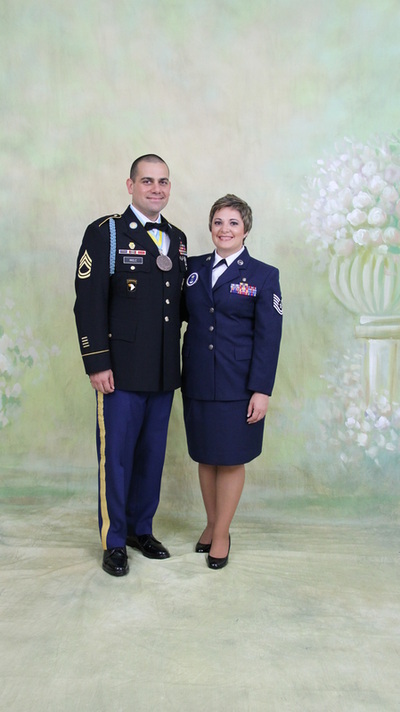 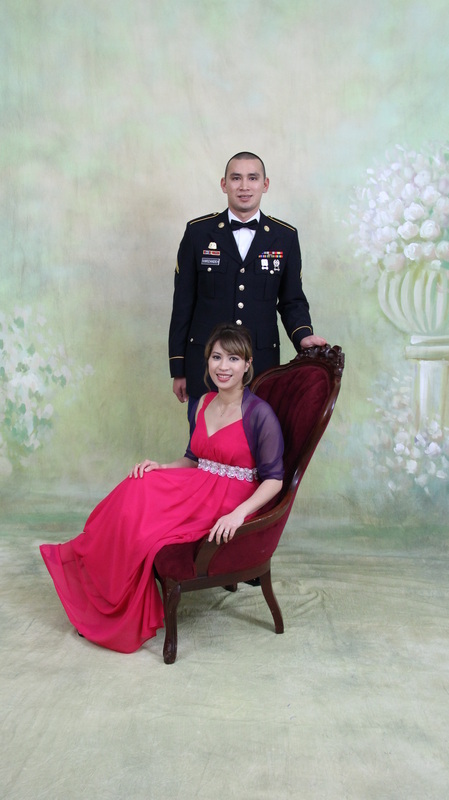 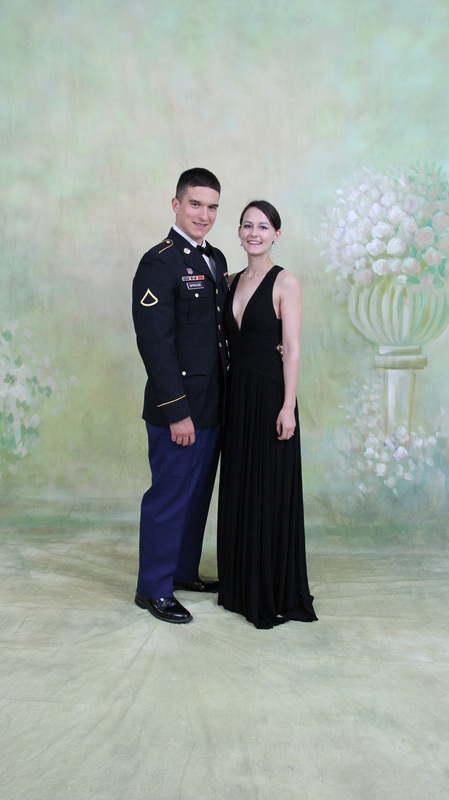 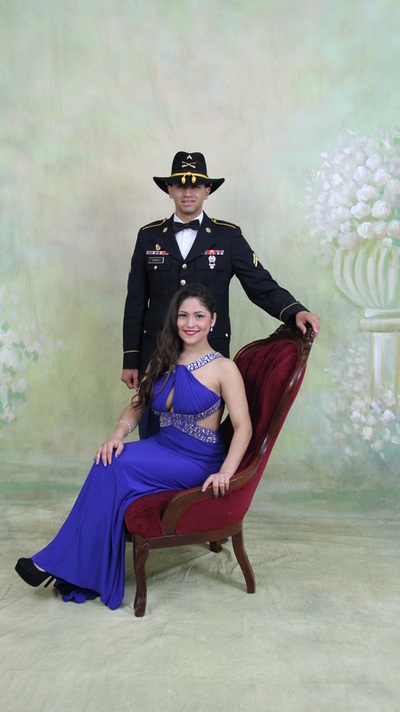 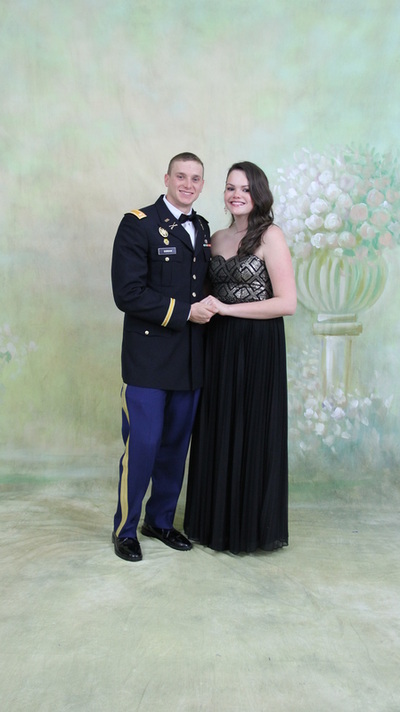 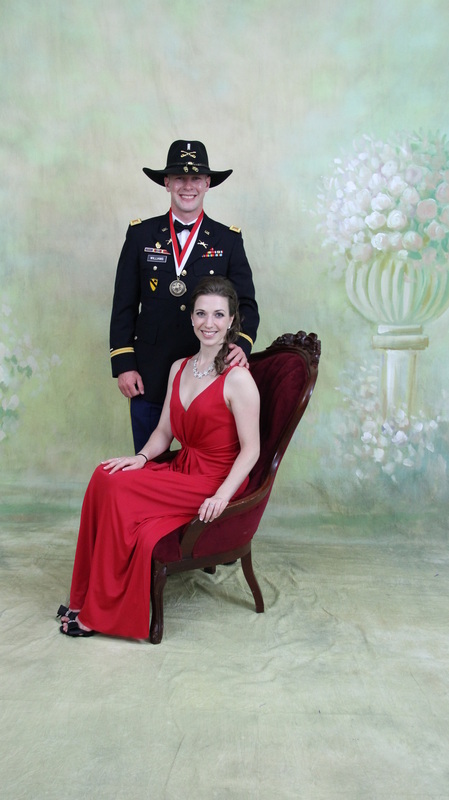 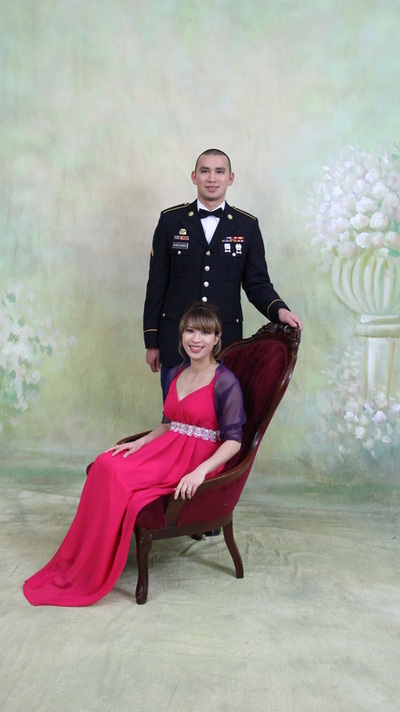 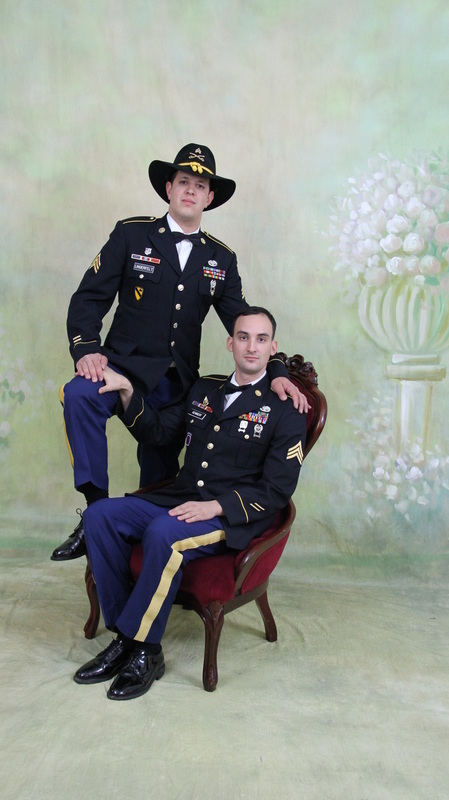 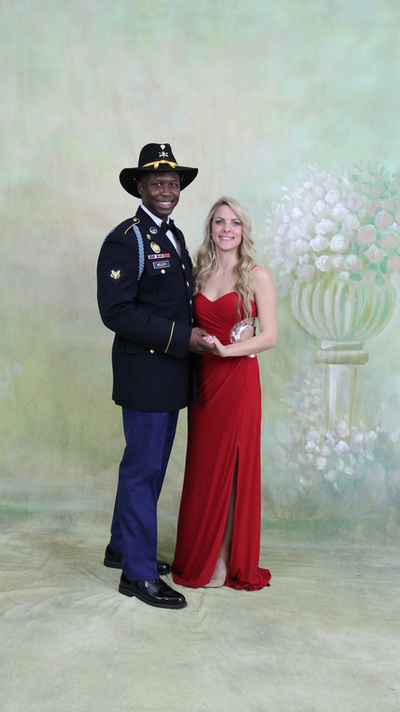 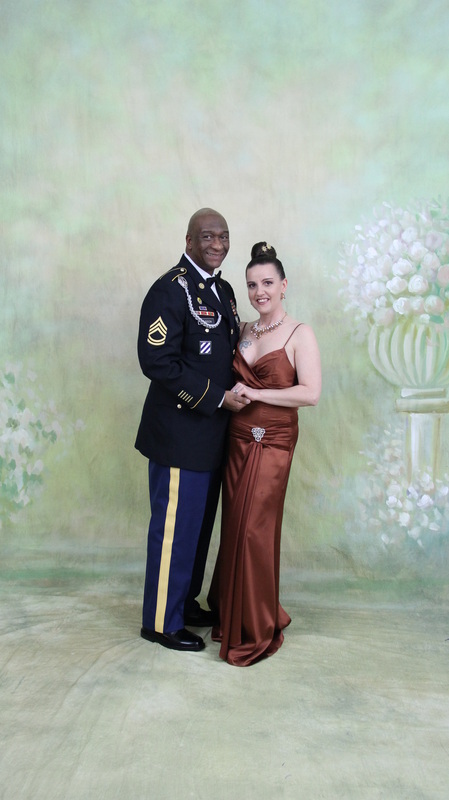 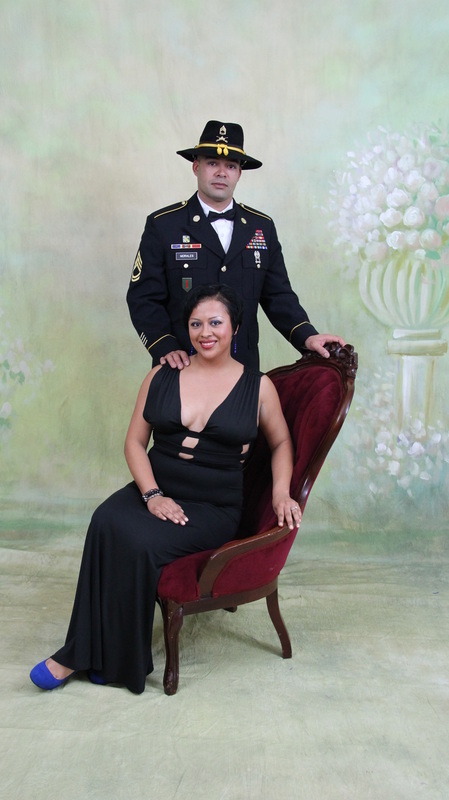 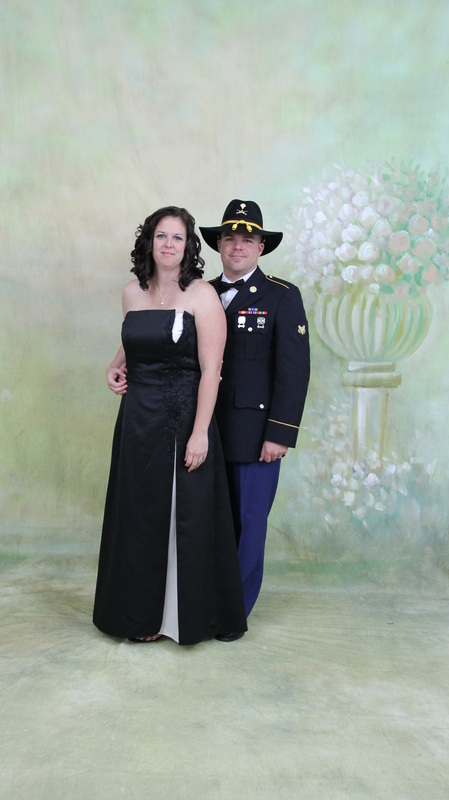 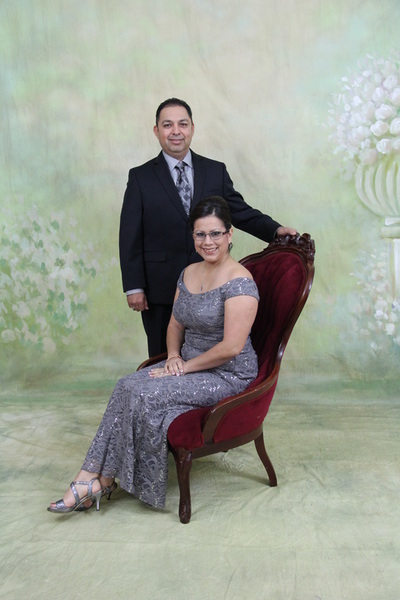 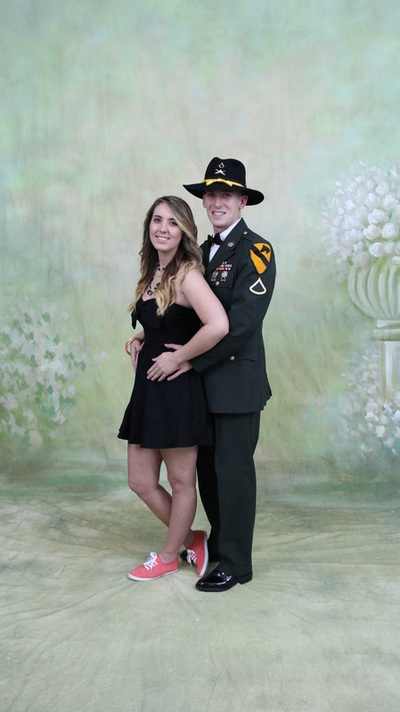 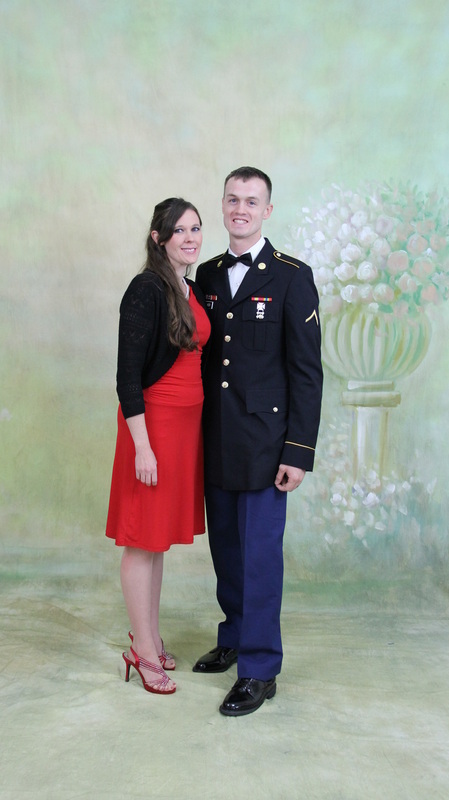 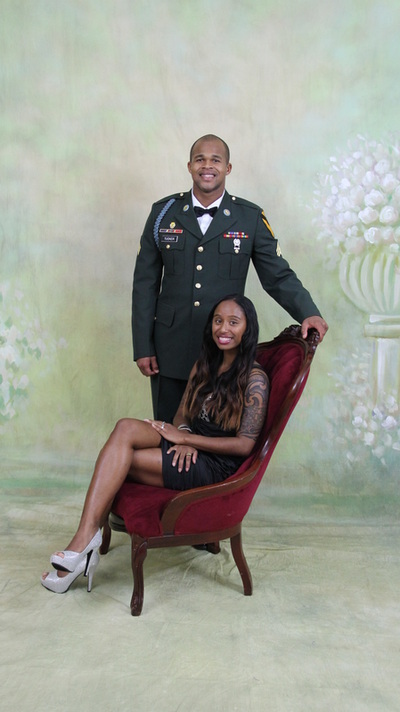 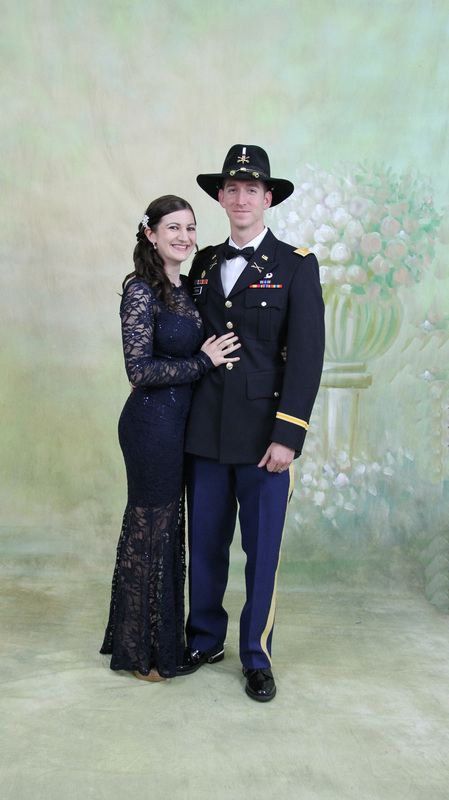 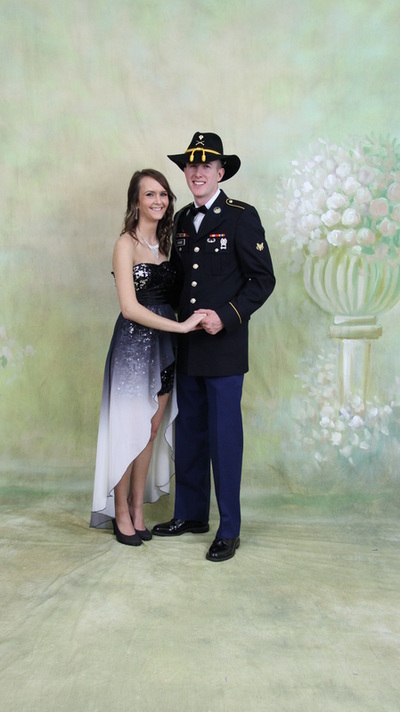 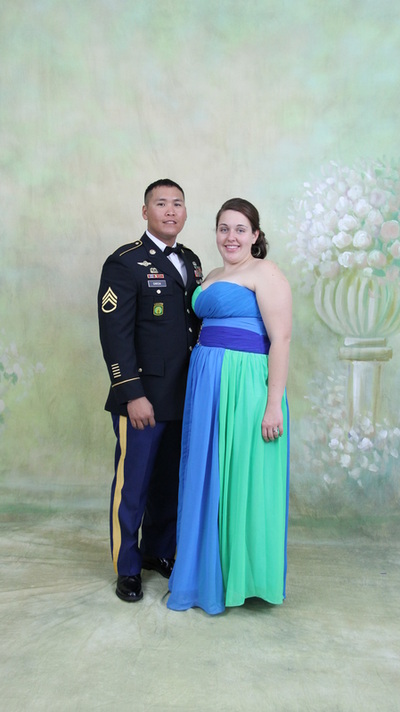 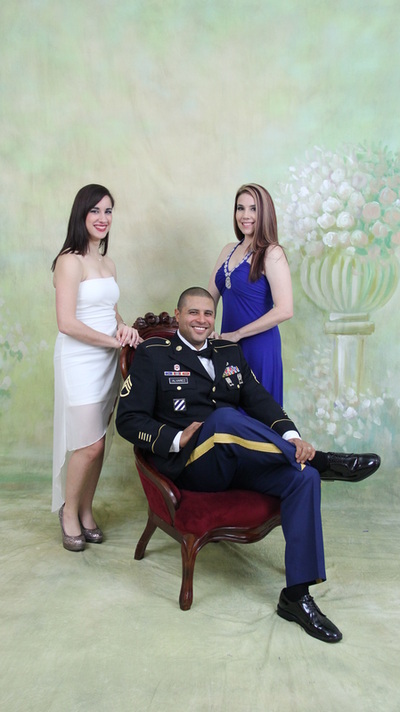 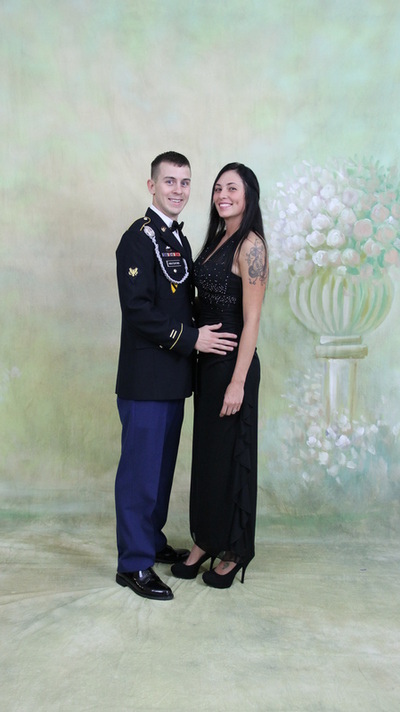 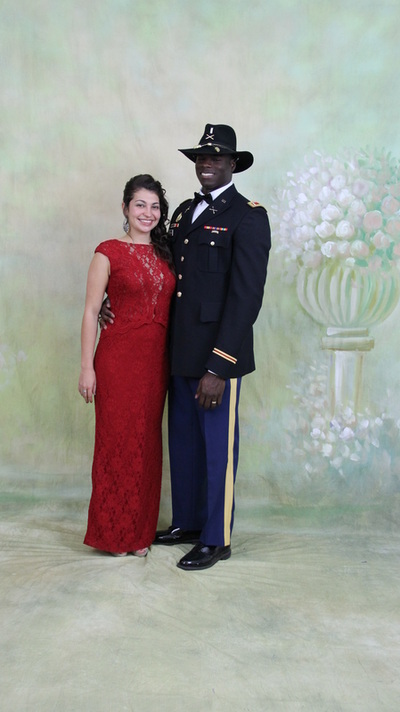 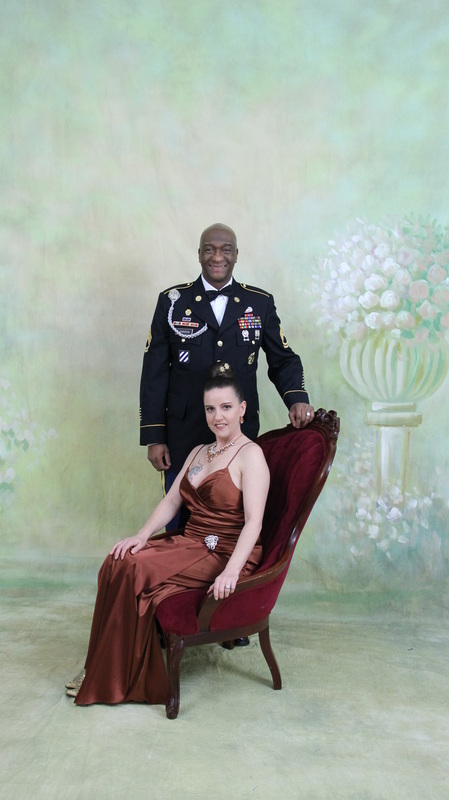 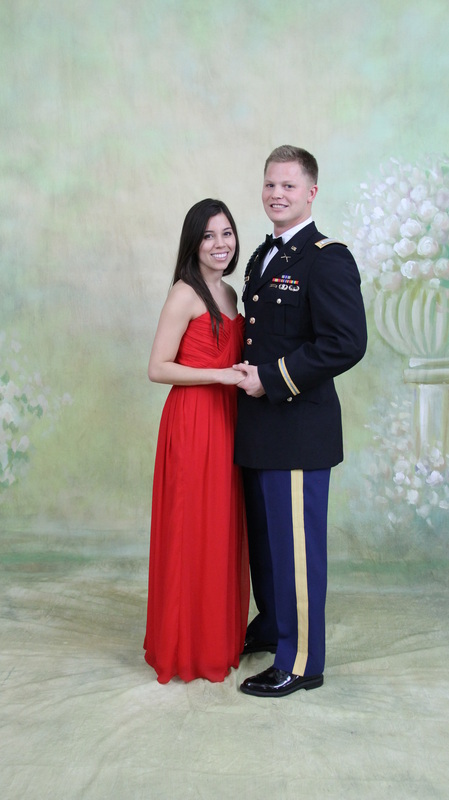 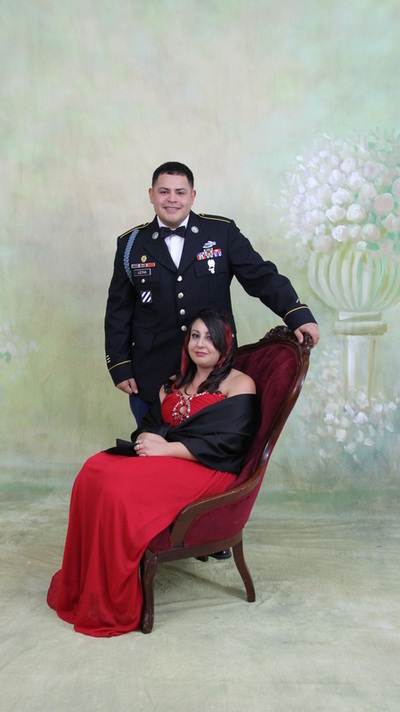 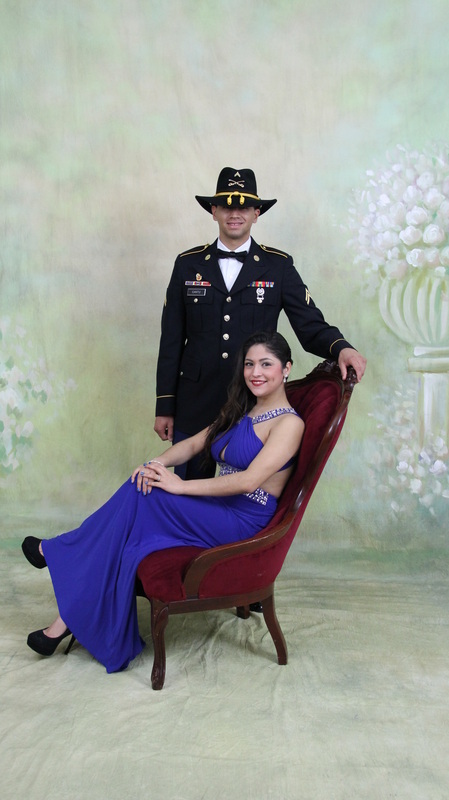 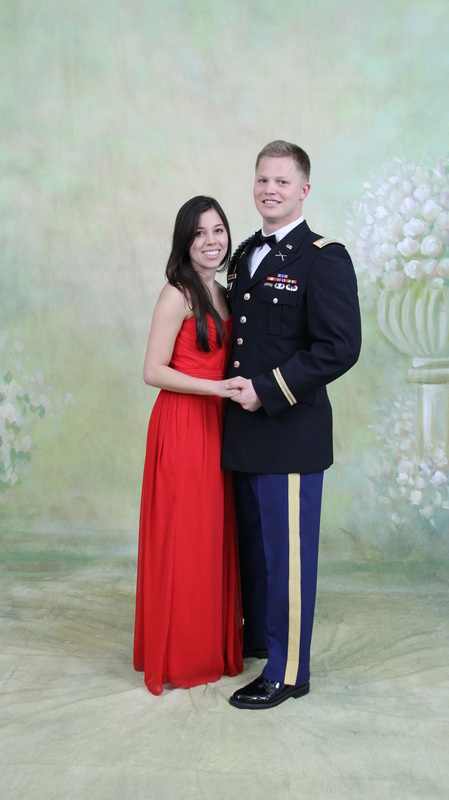 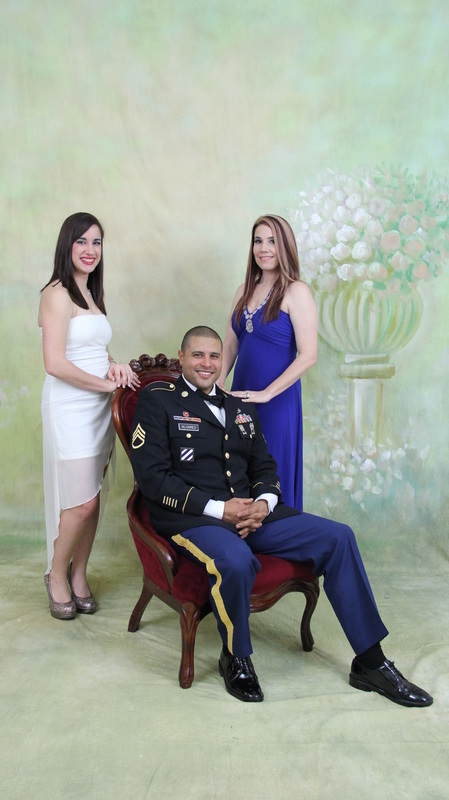 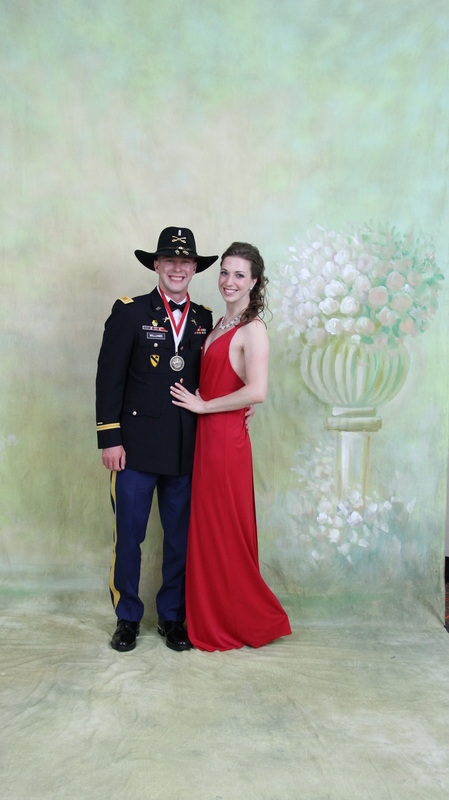 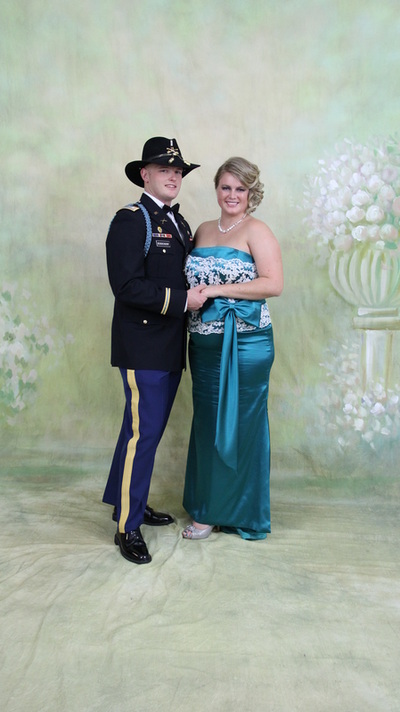 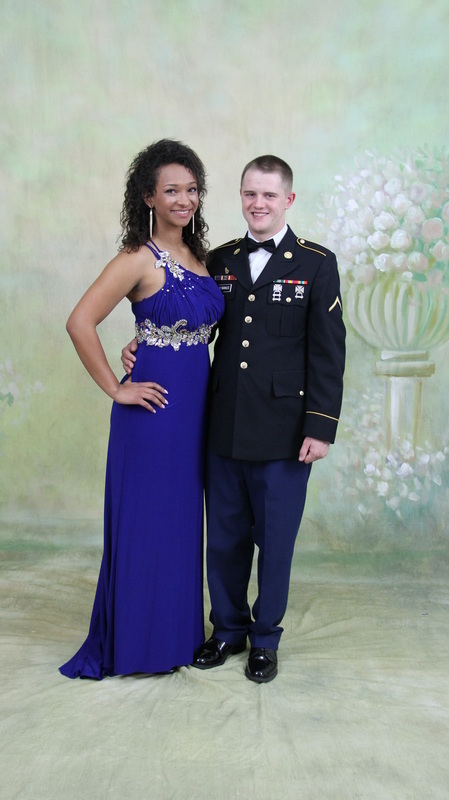 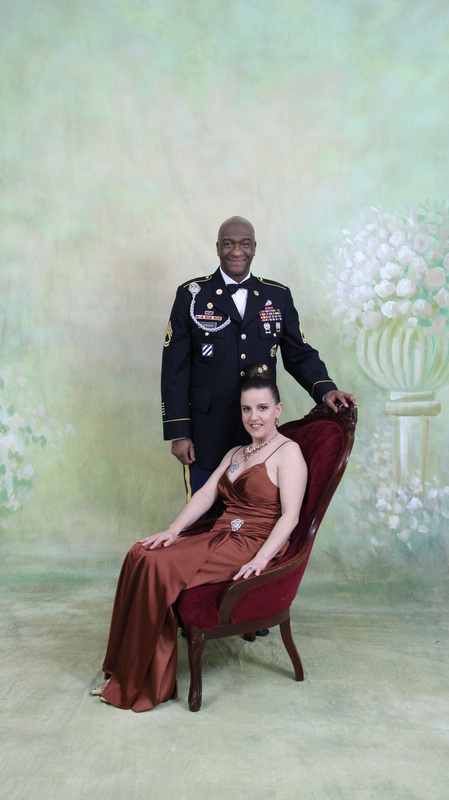 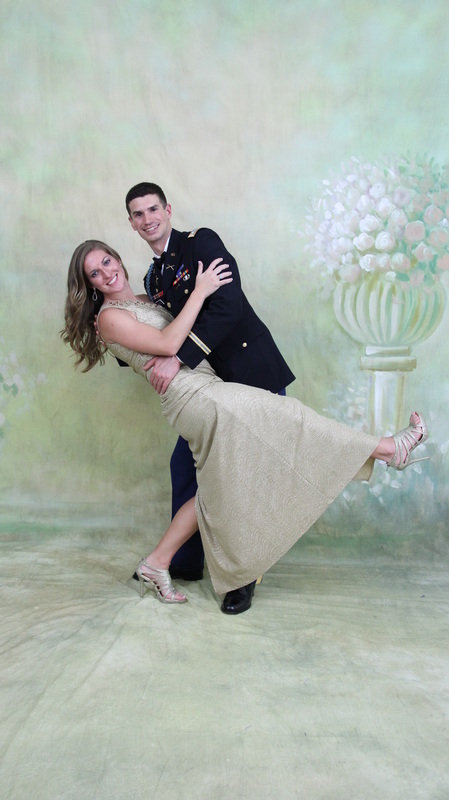 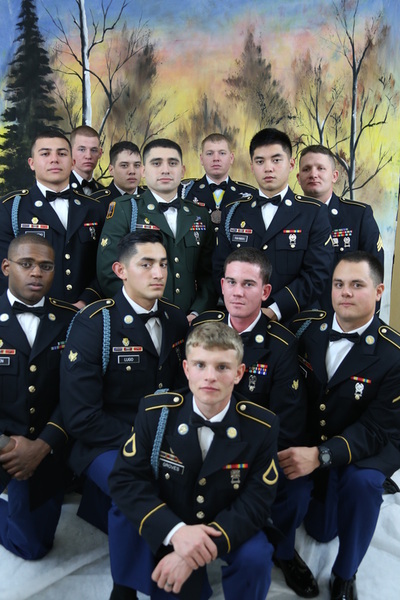 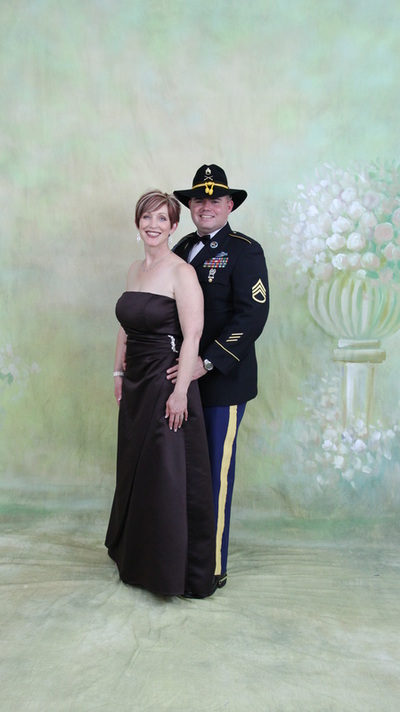 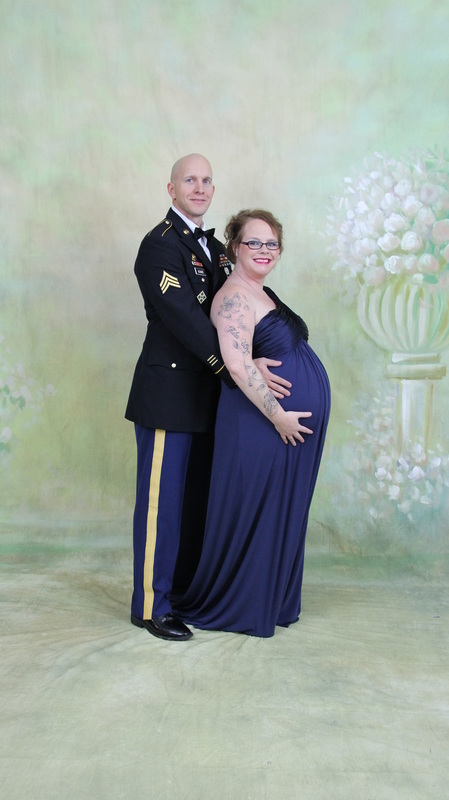 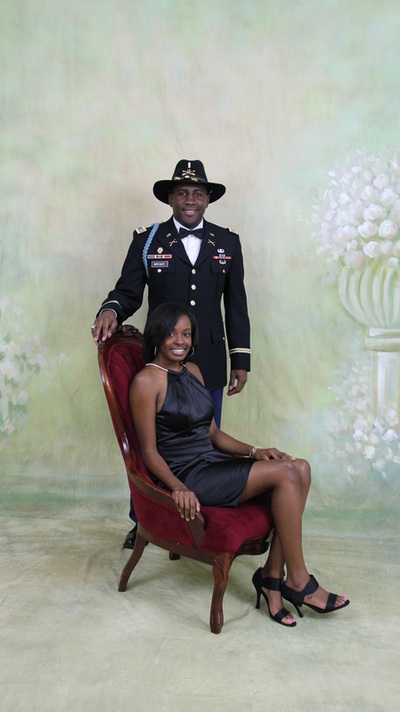 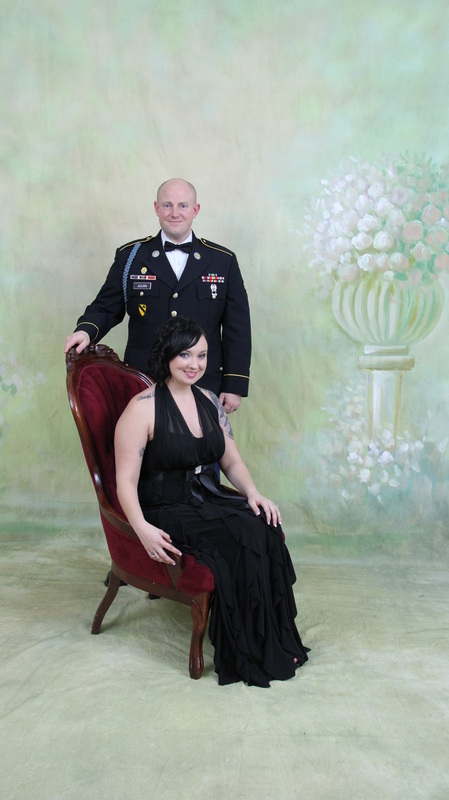 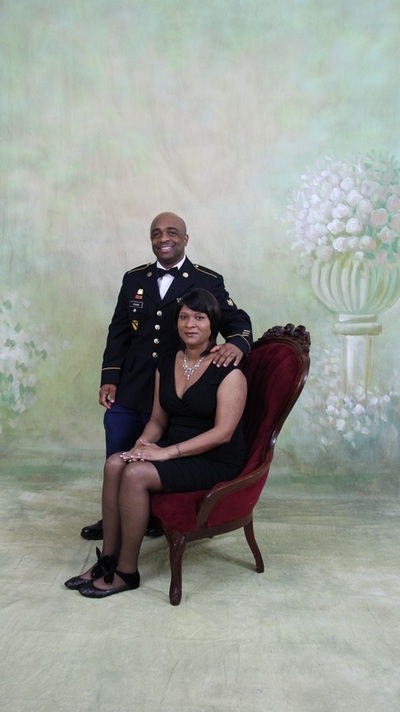 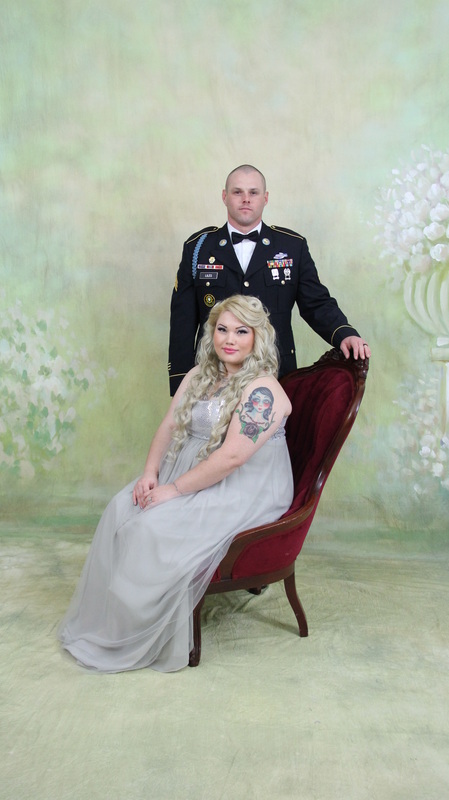 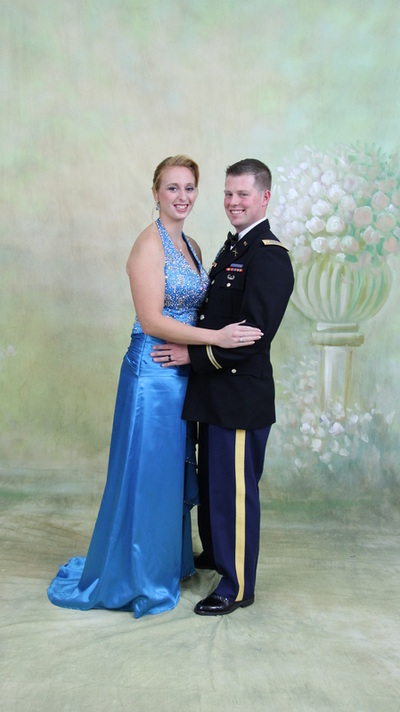 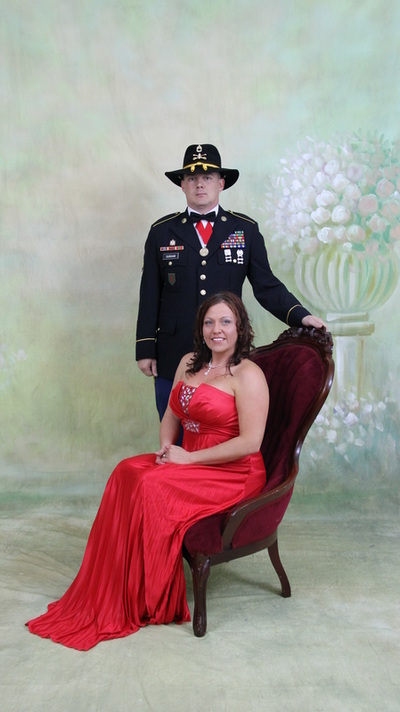 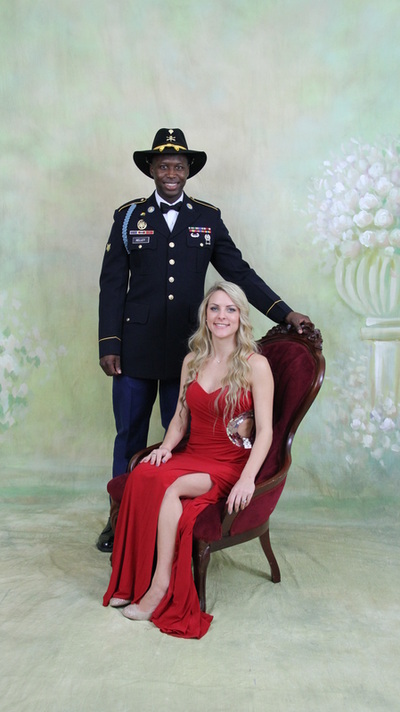 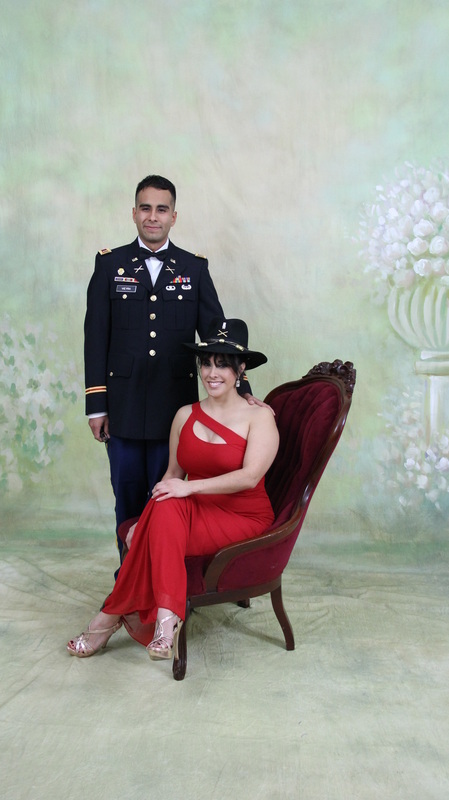 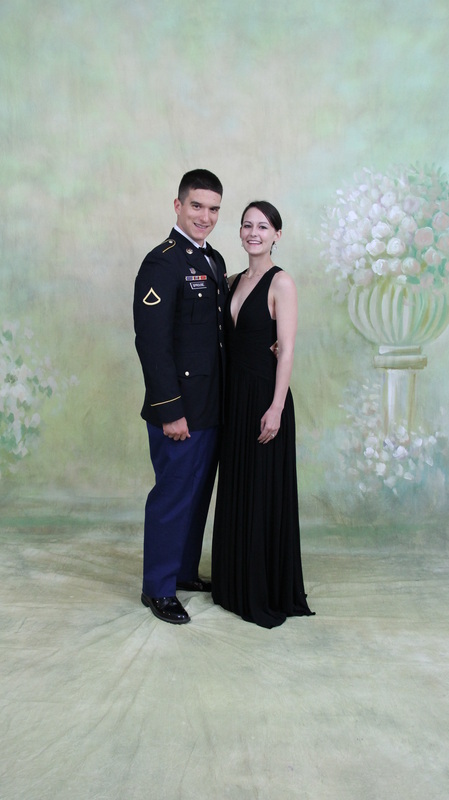 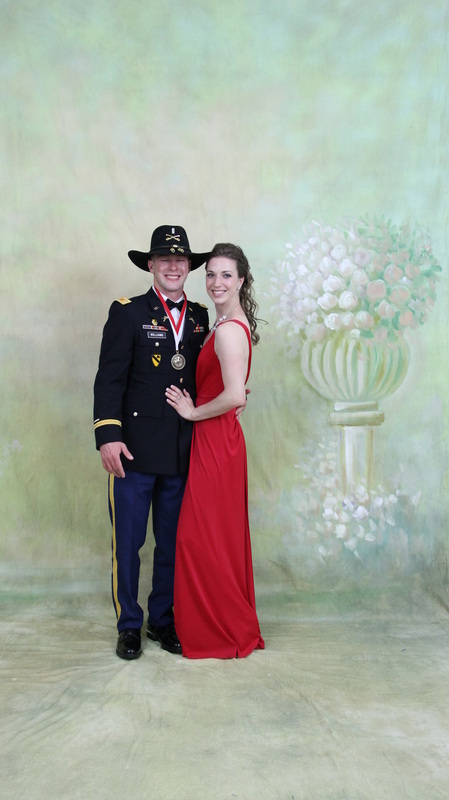 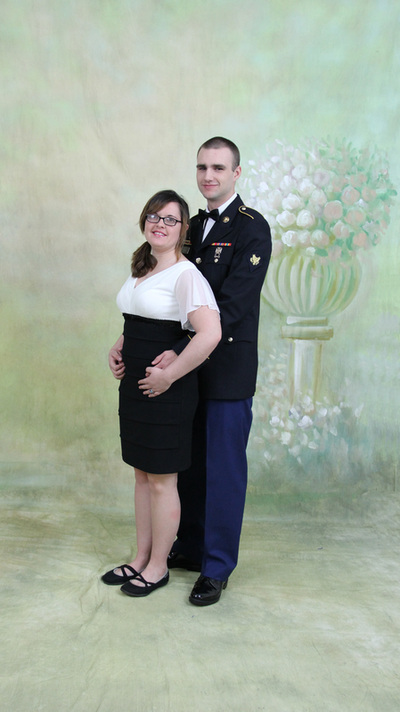 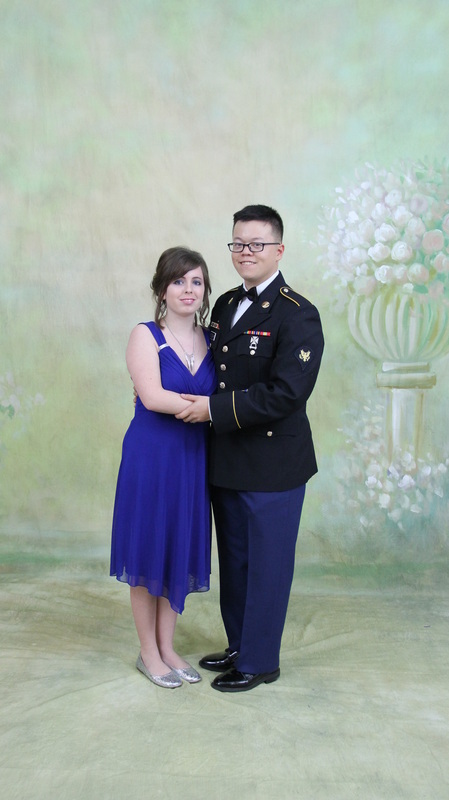 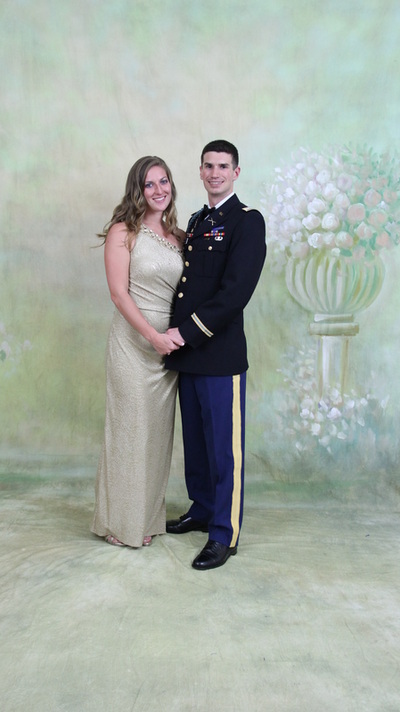 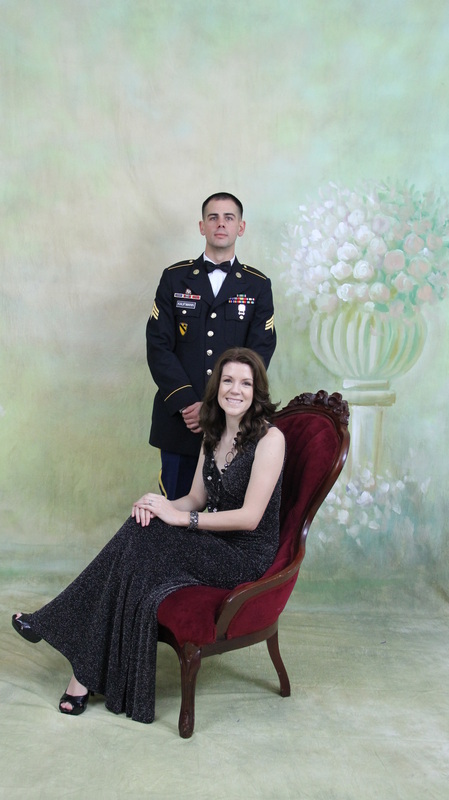 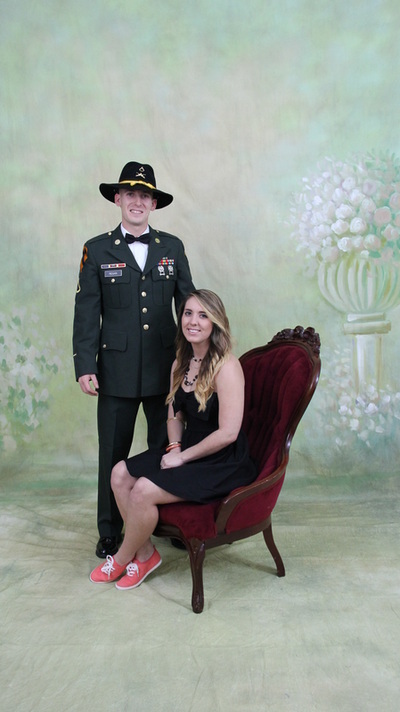 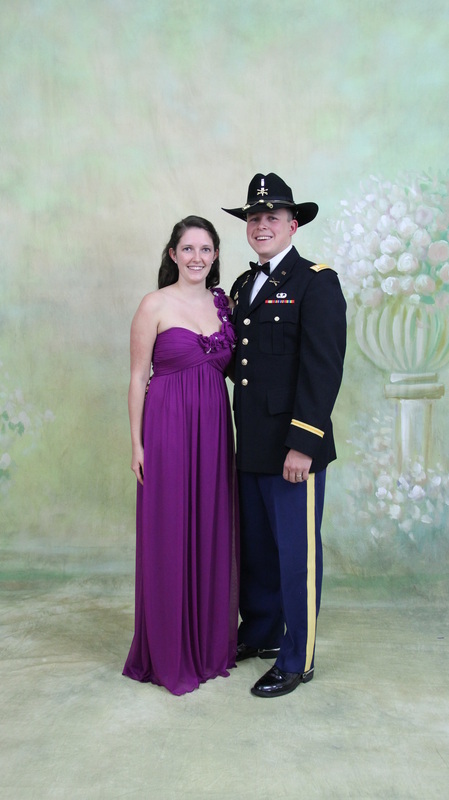 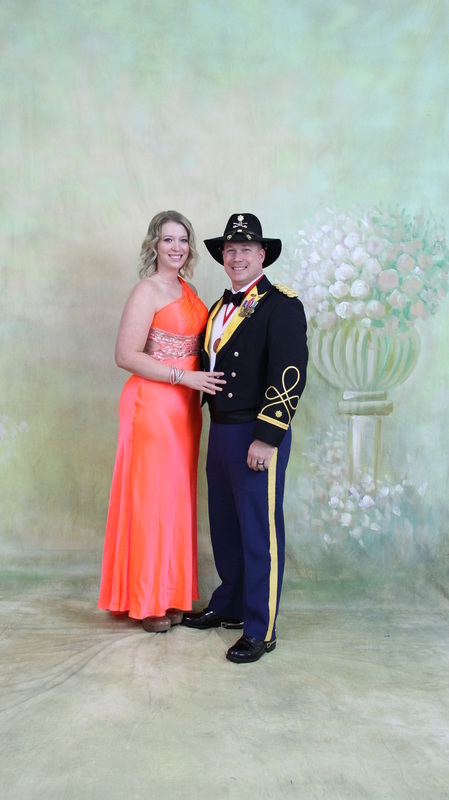 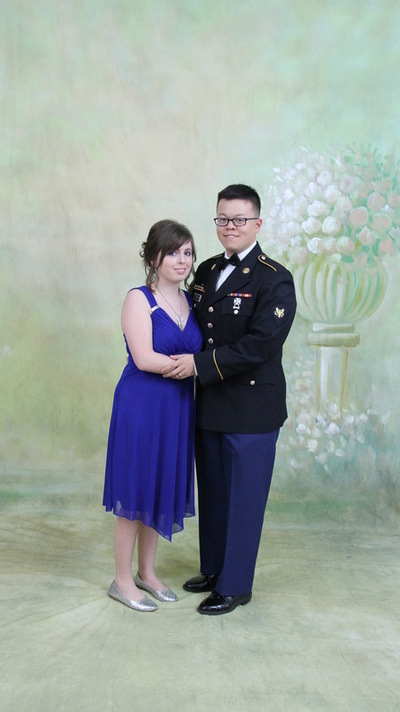 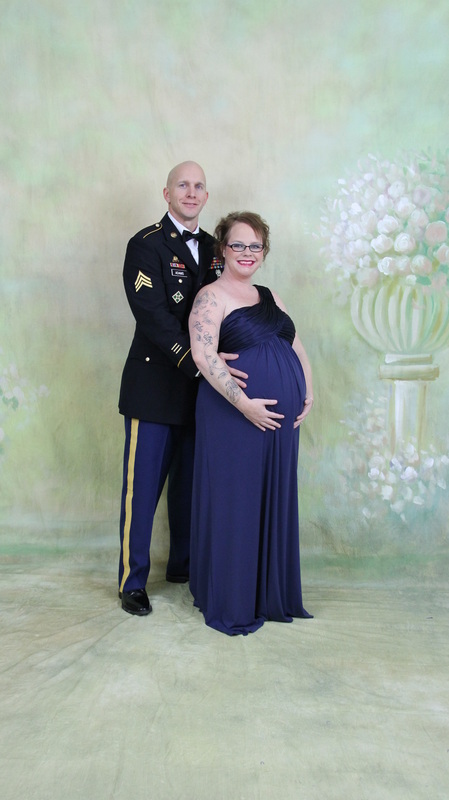 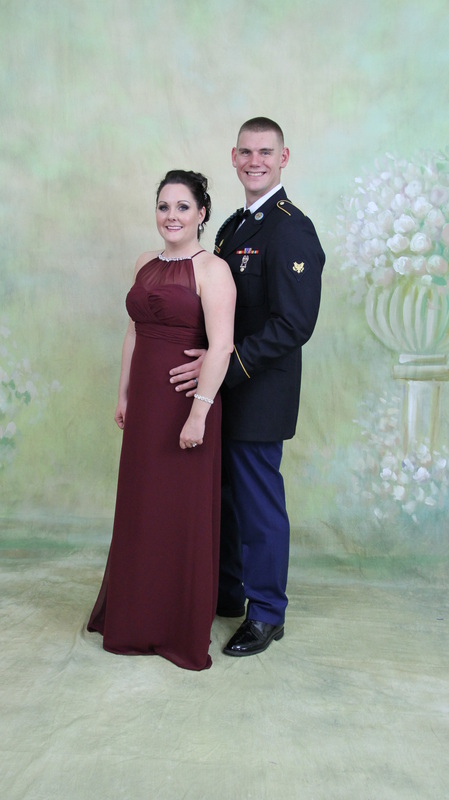 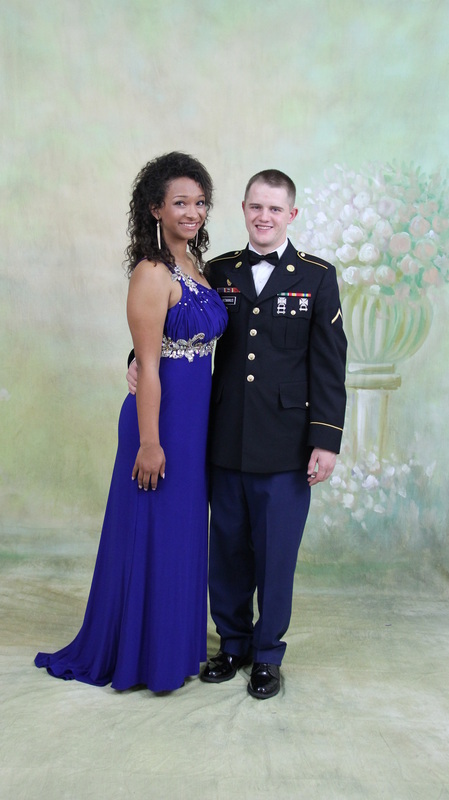 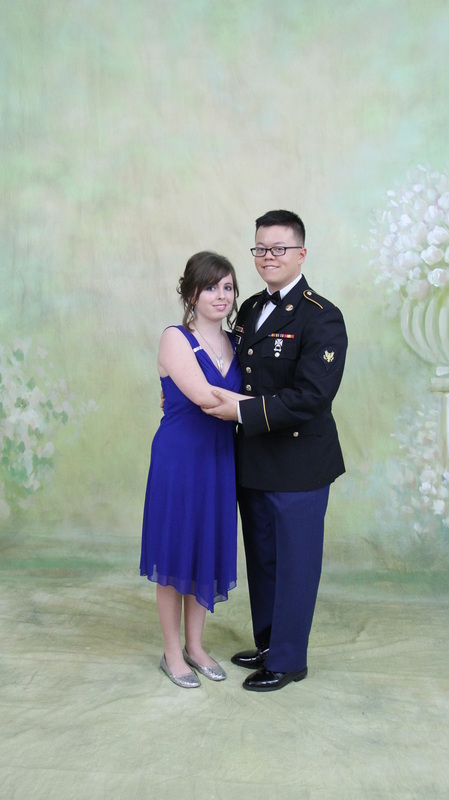 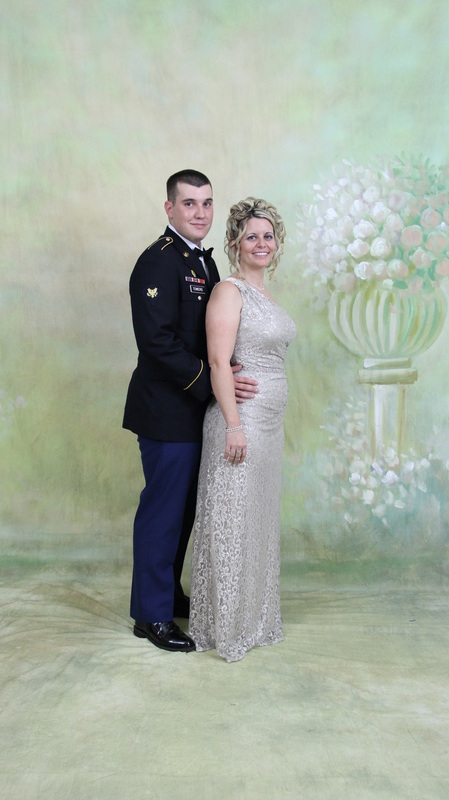 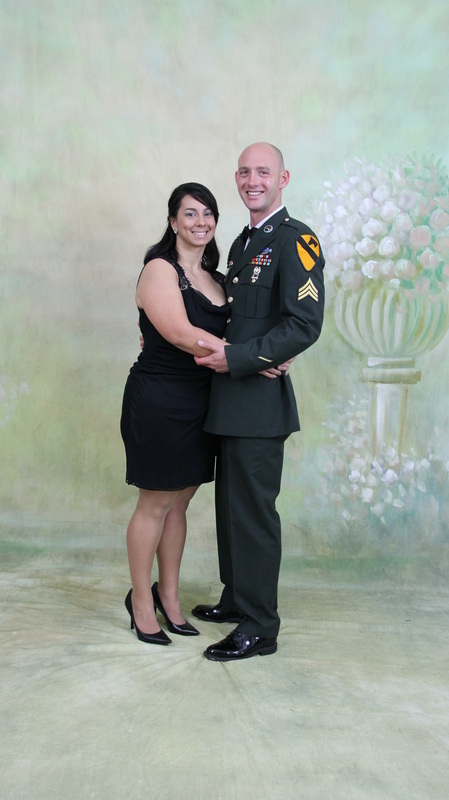 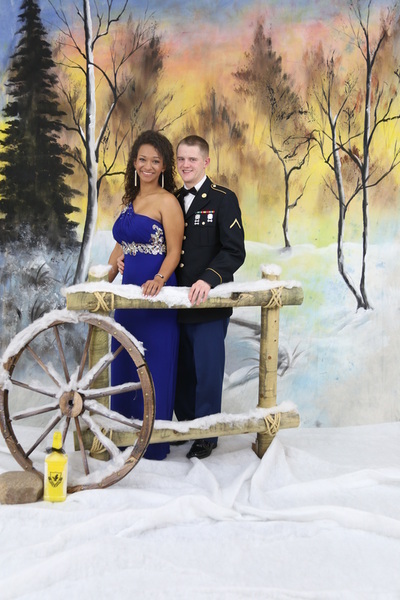 All about the Photography for your military ball. 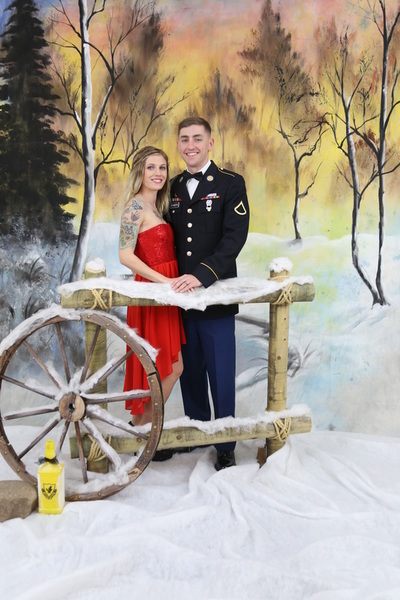 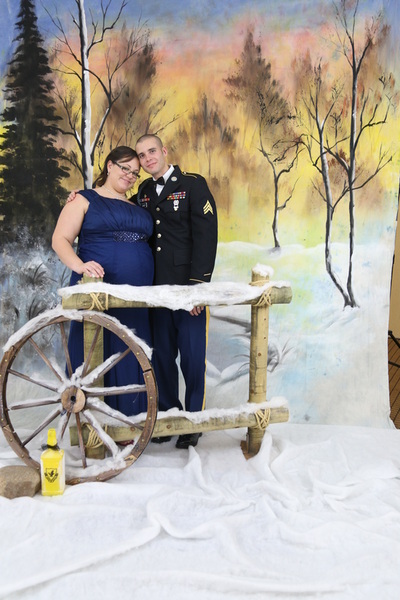 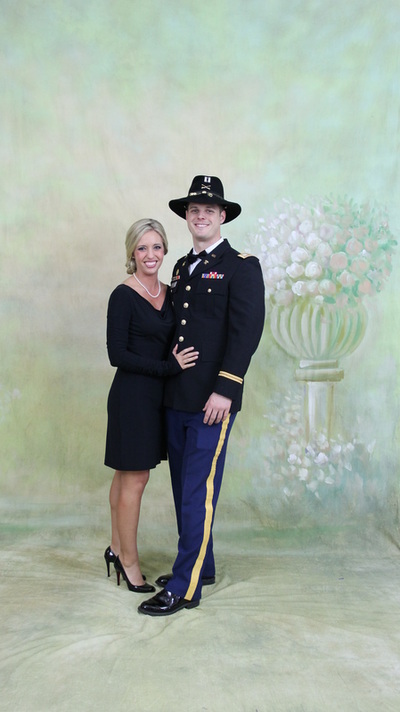 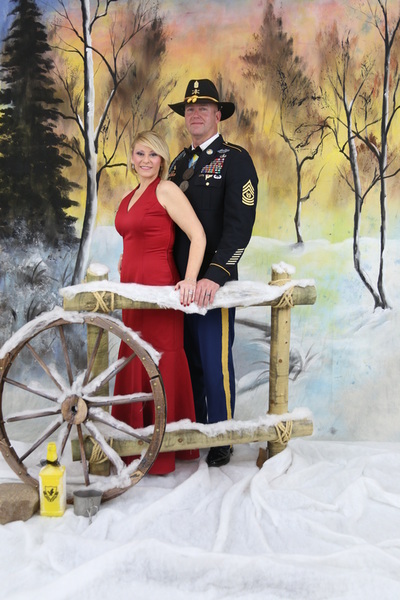 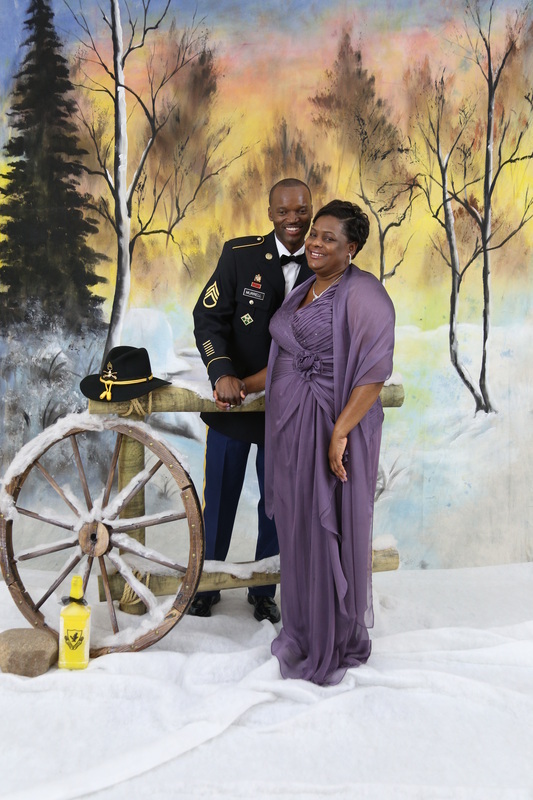 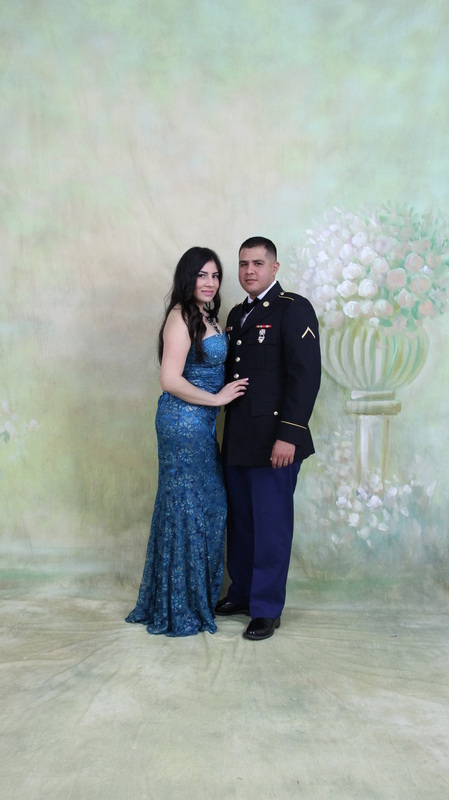 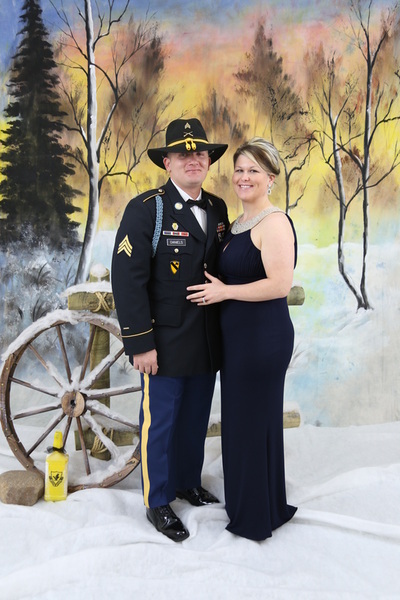 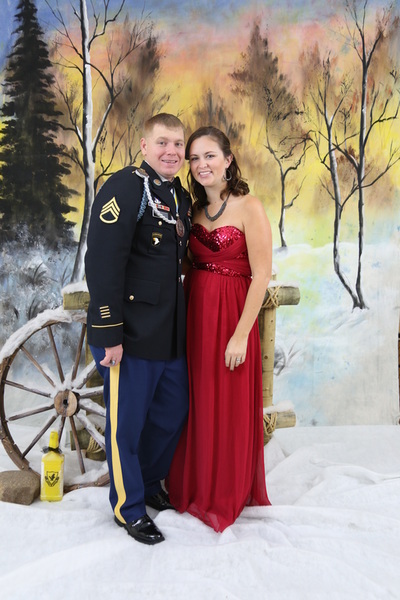 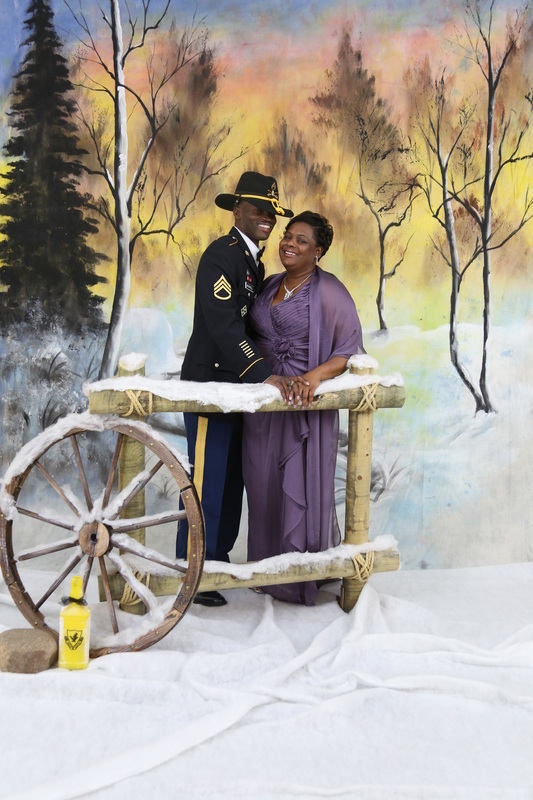 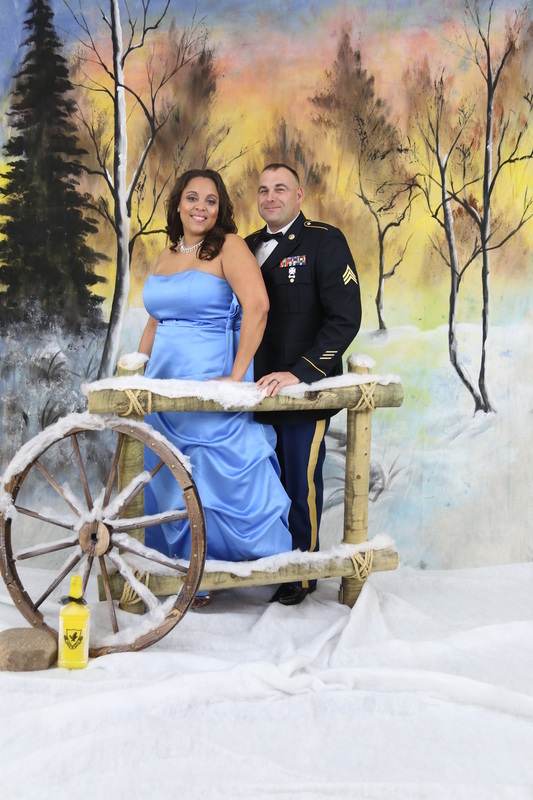 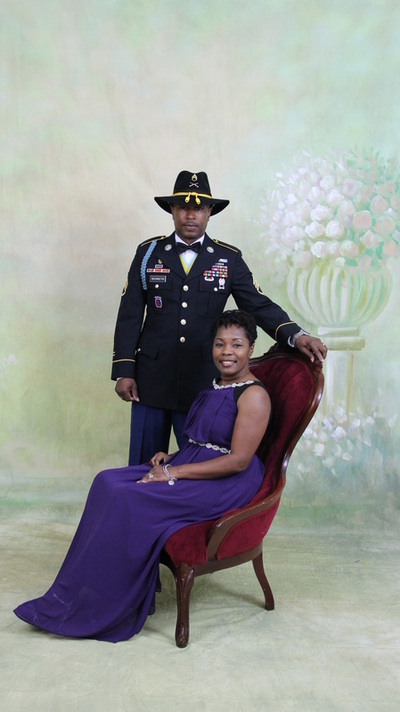 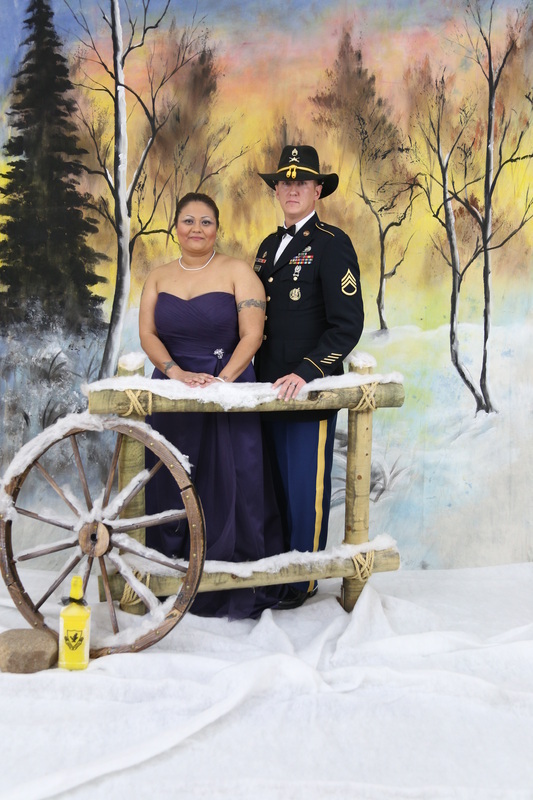 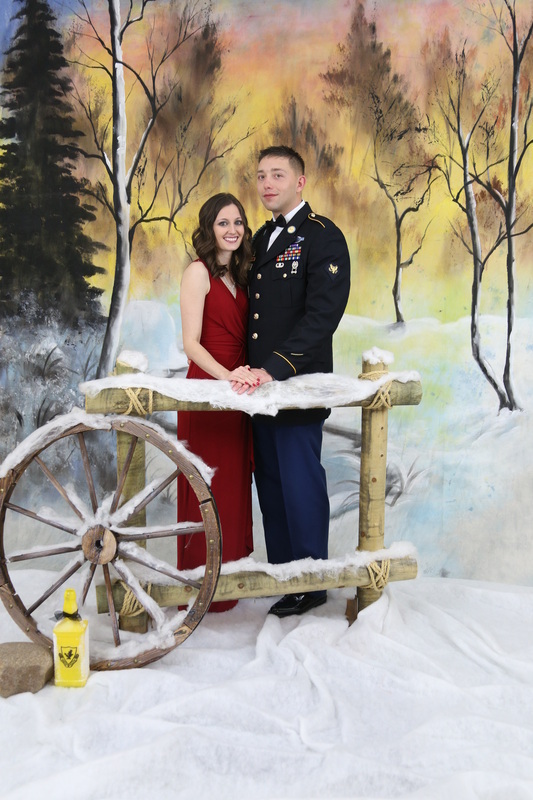 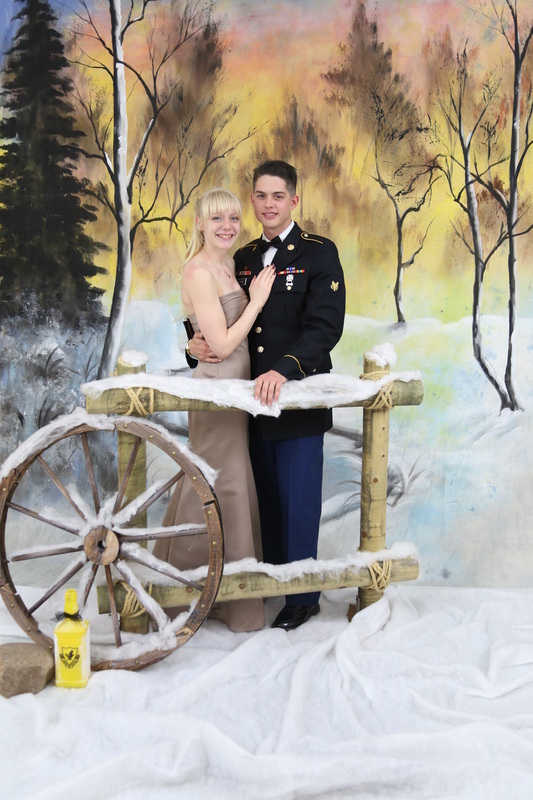 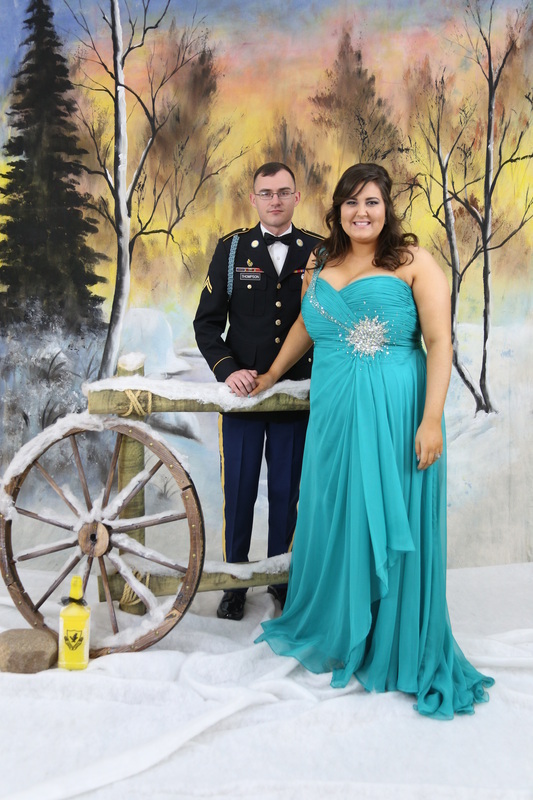 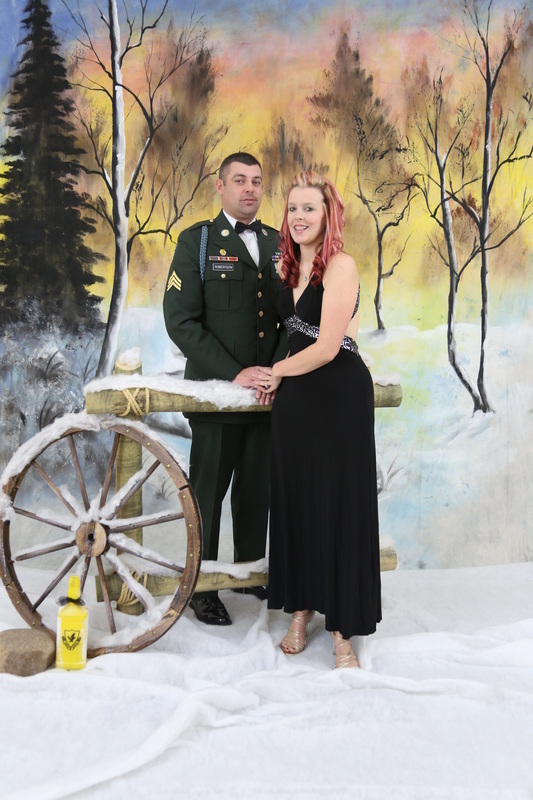 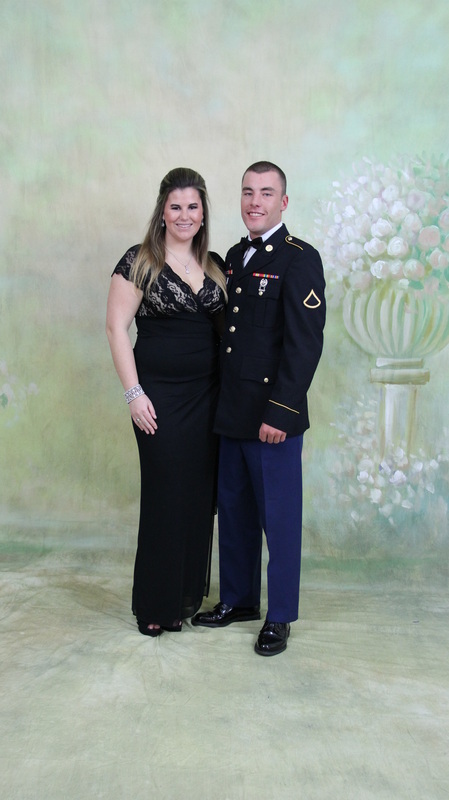 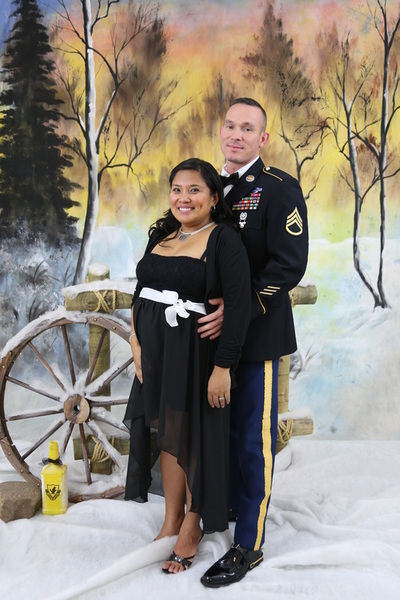 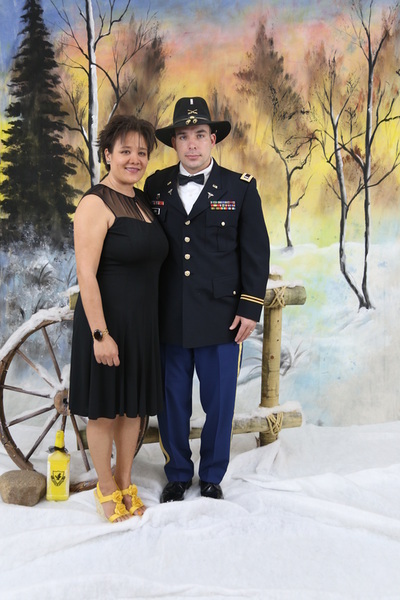 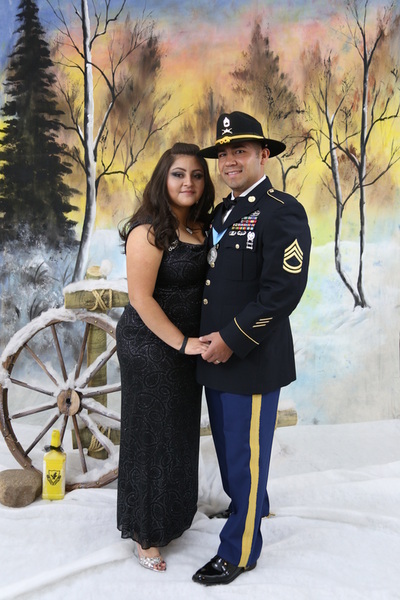 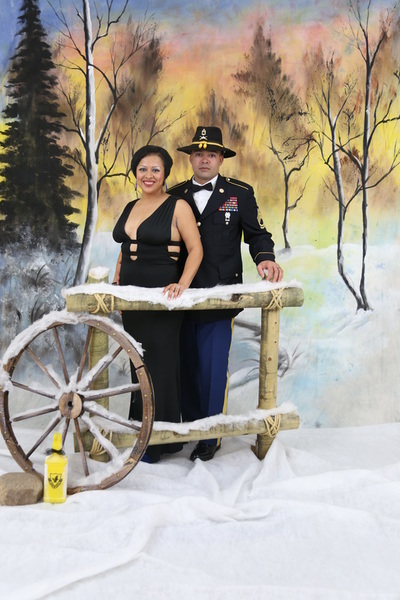 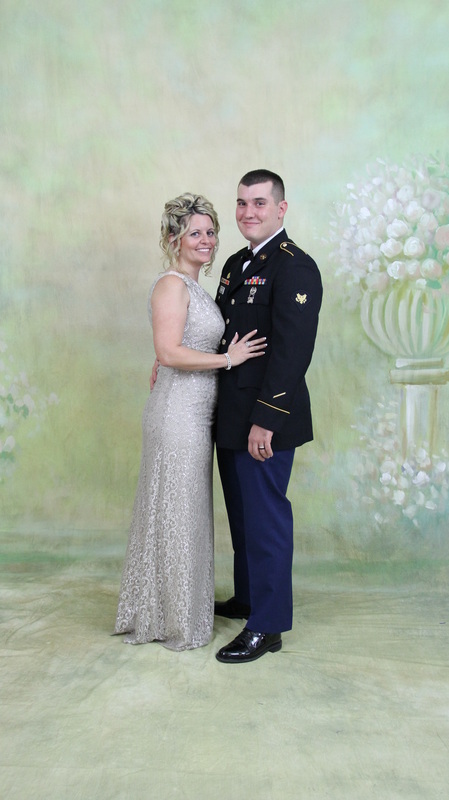 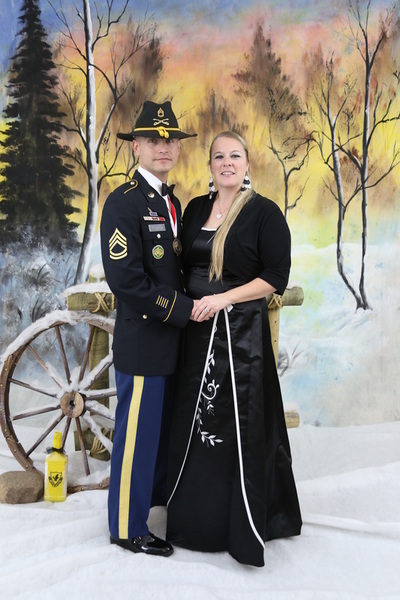 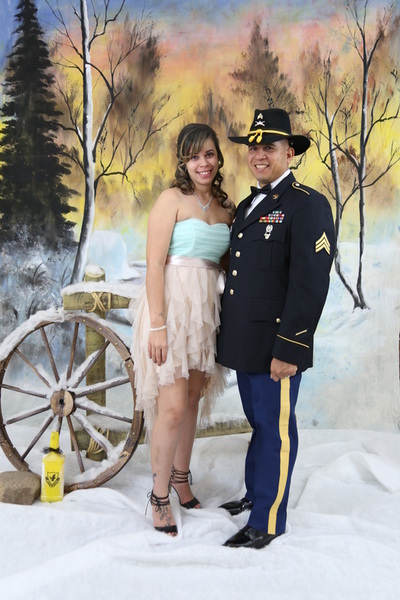 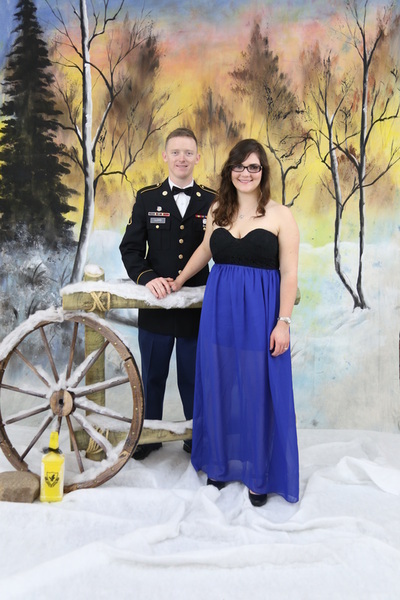 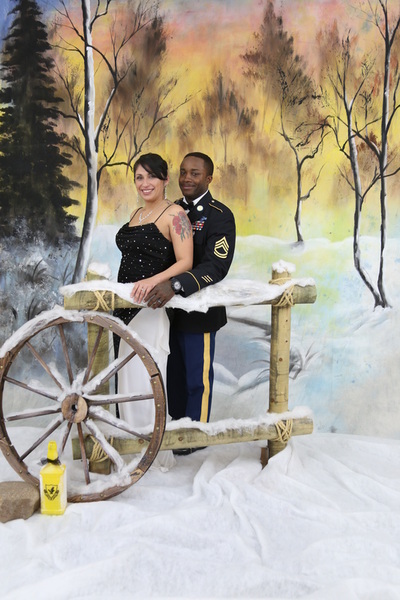 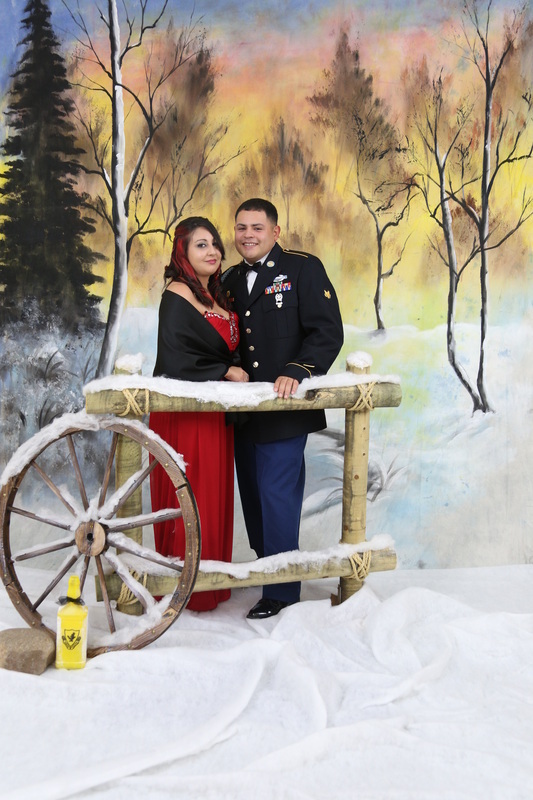 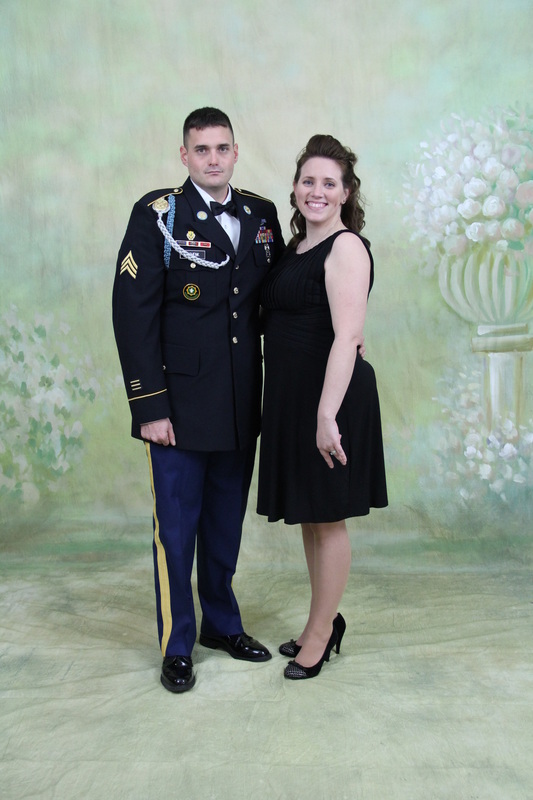 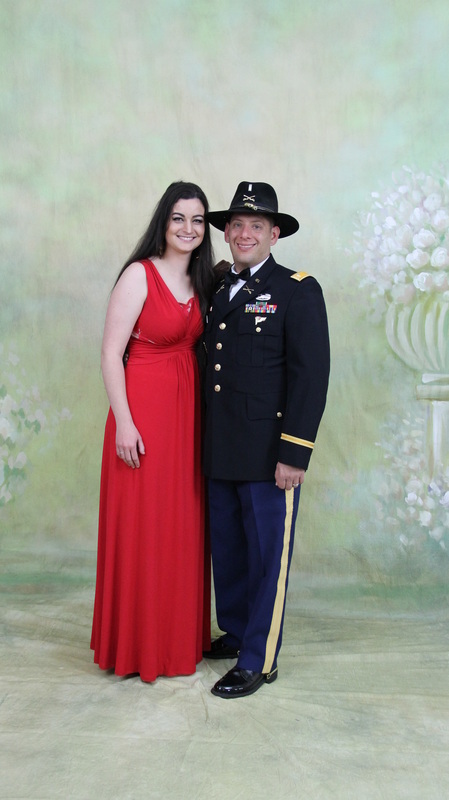 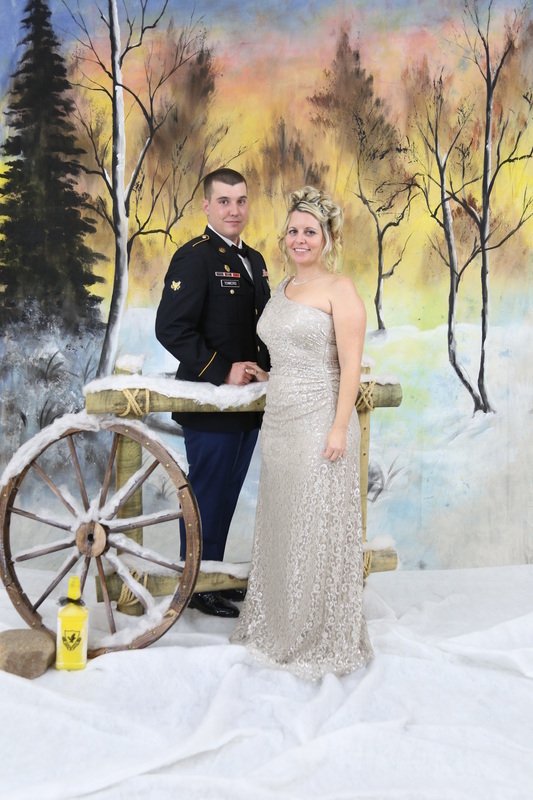 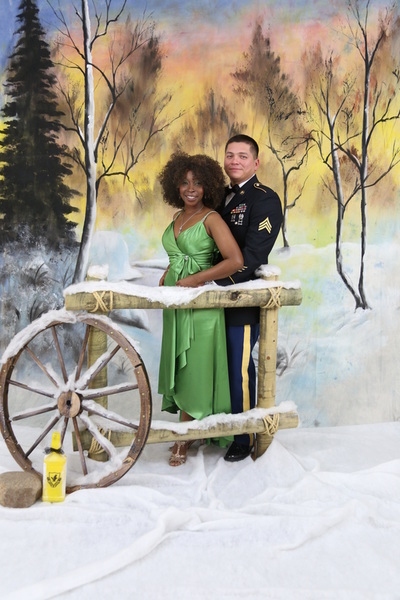 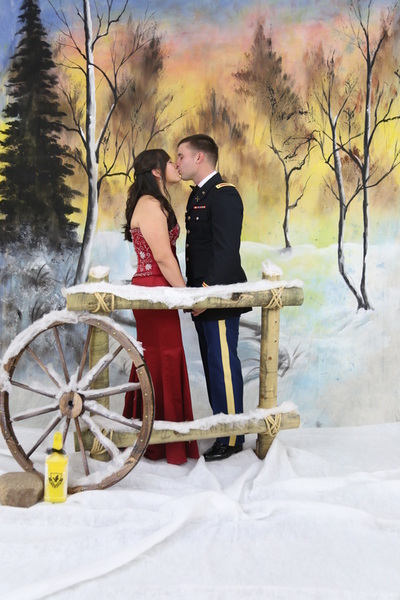 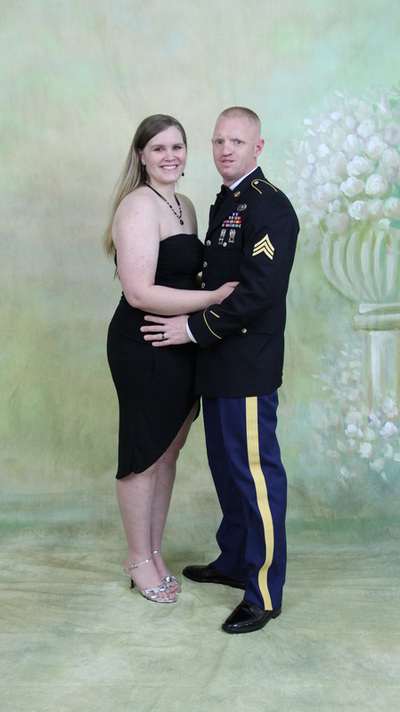 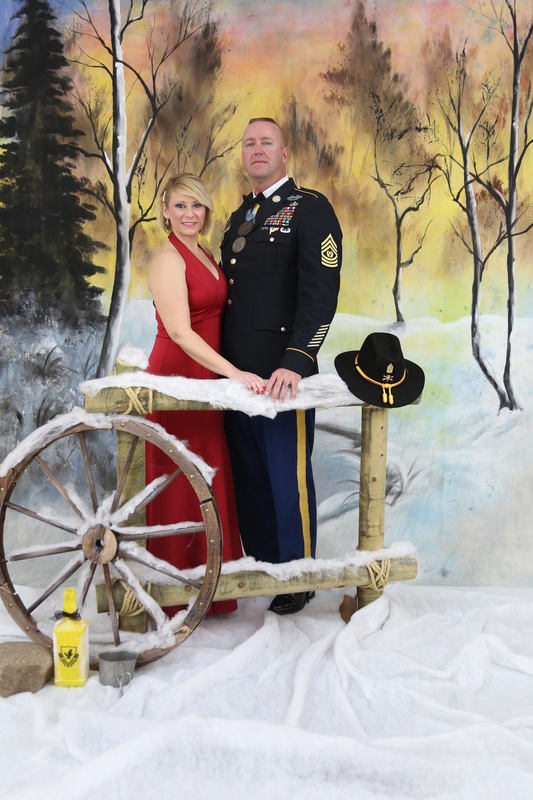 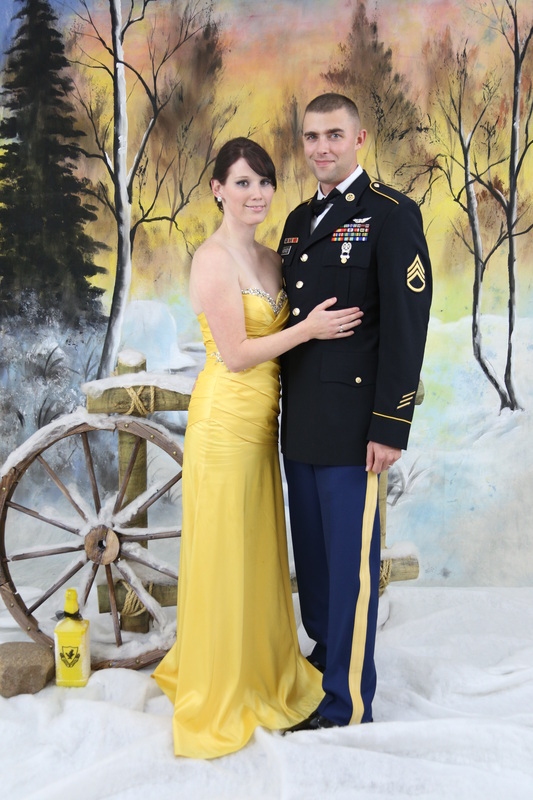 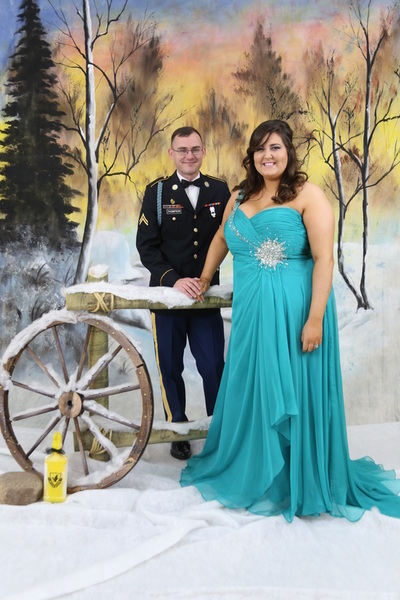 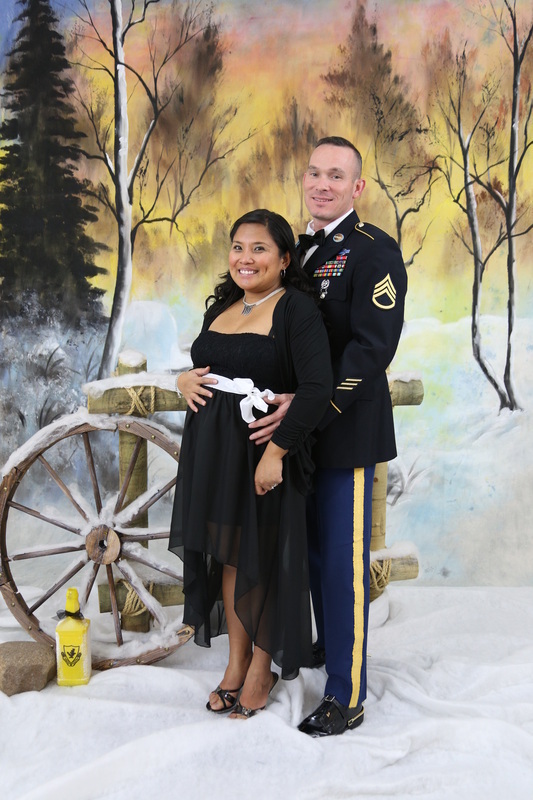 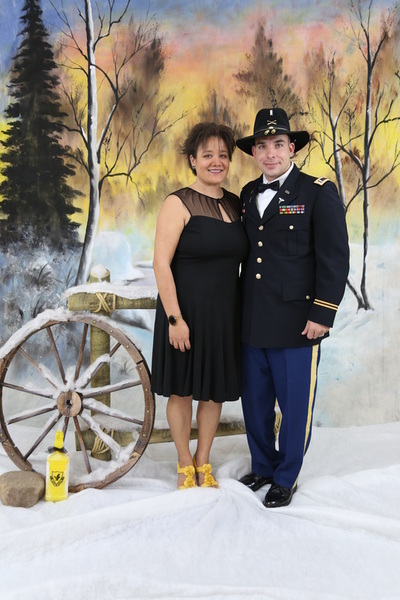 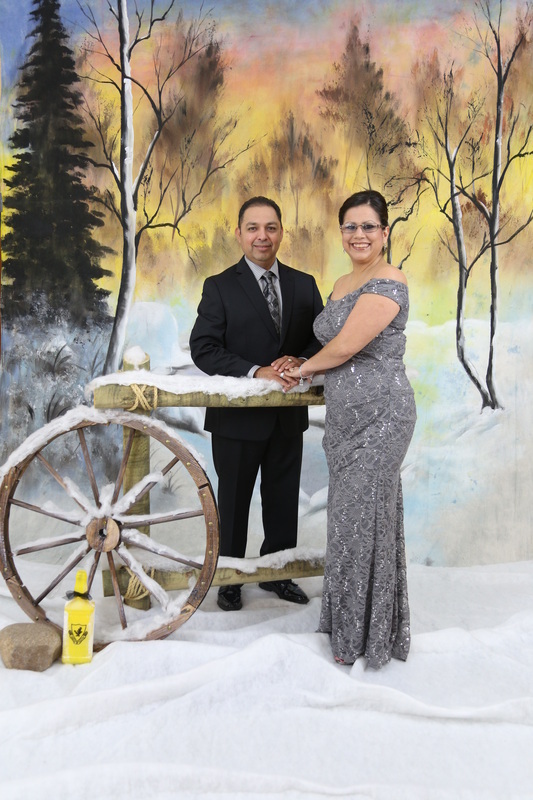 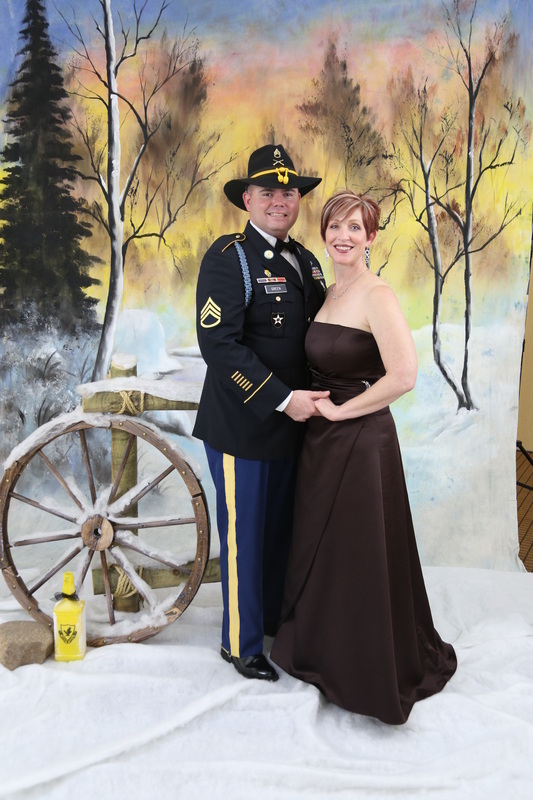 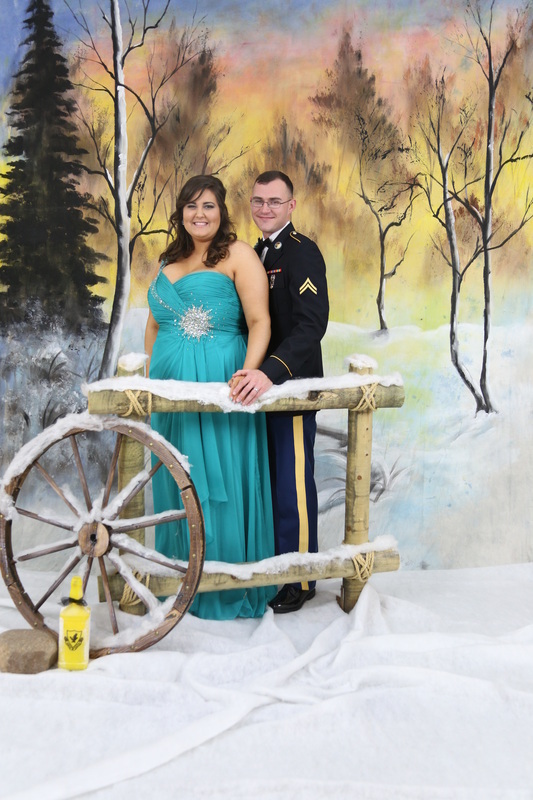 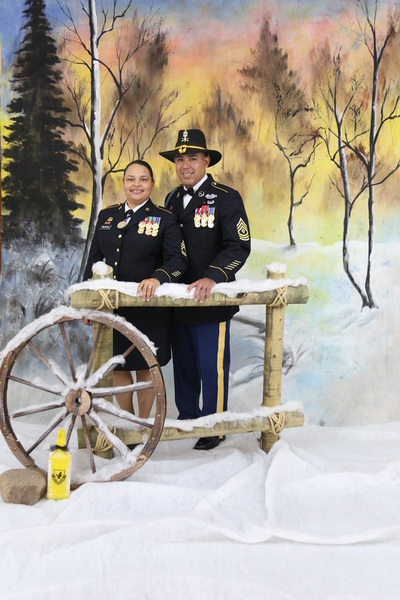 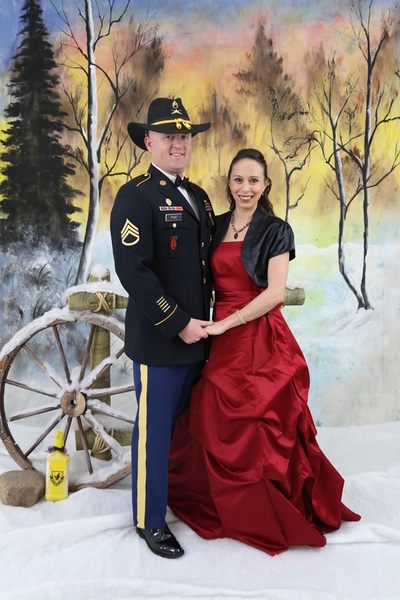 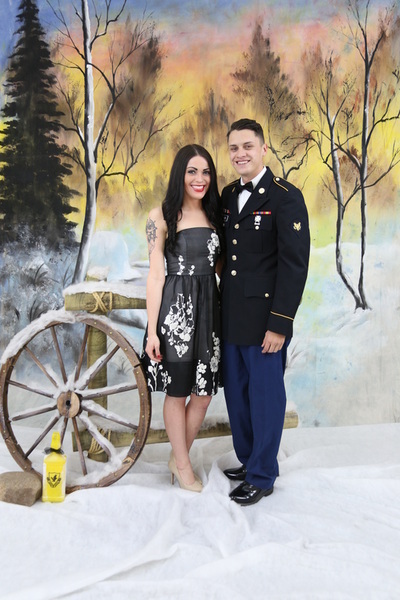 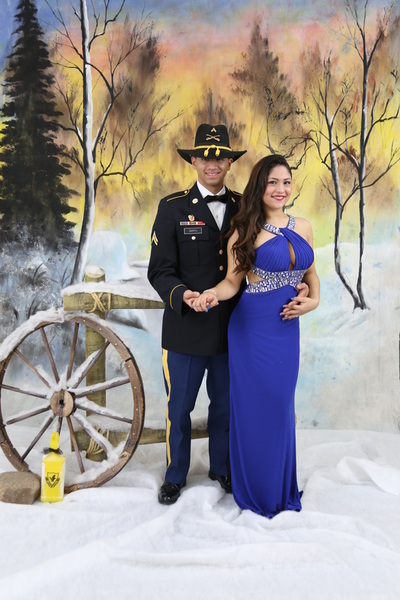 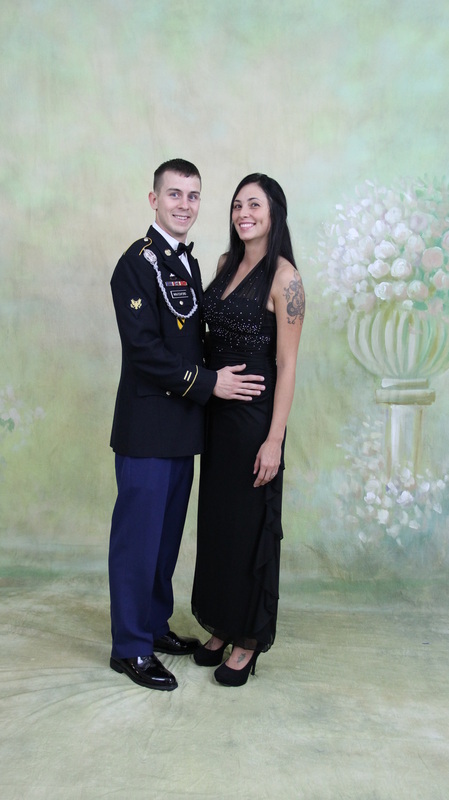 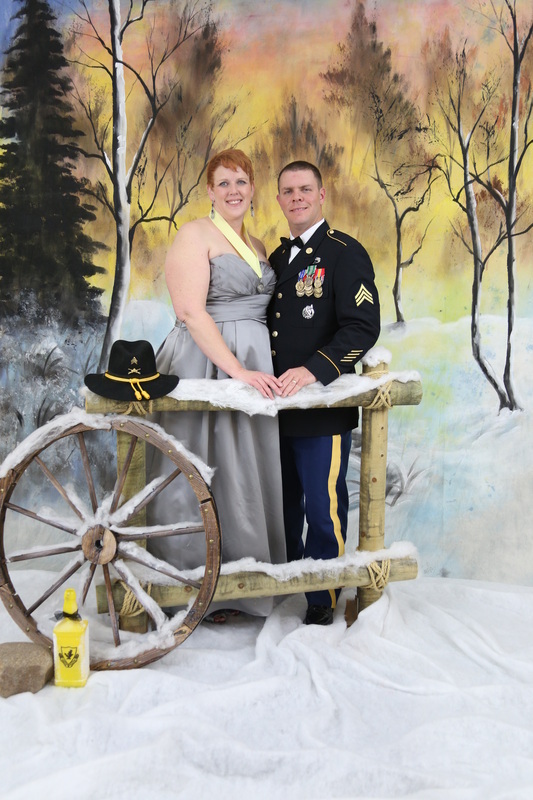 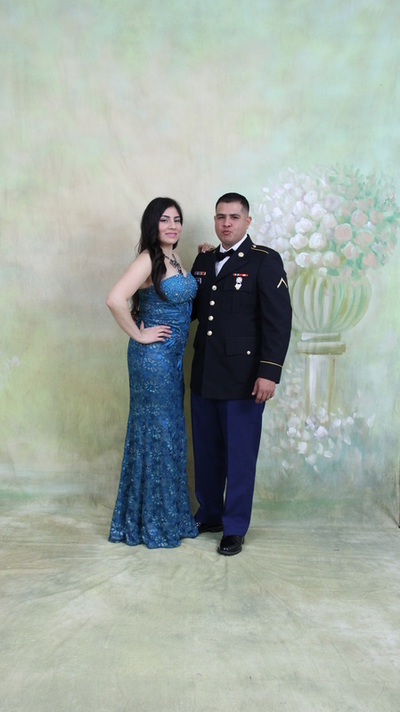 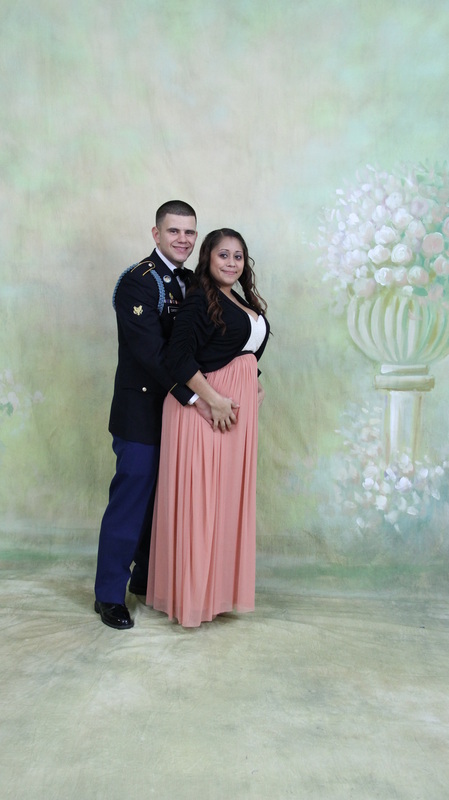 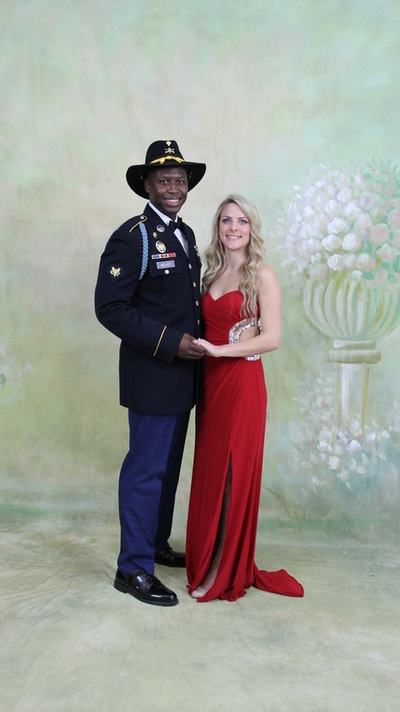 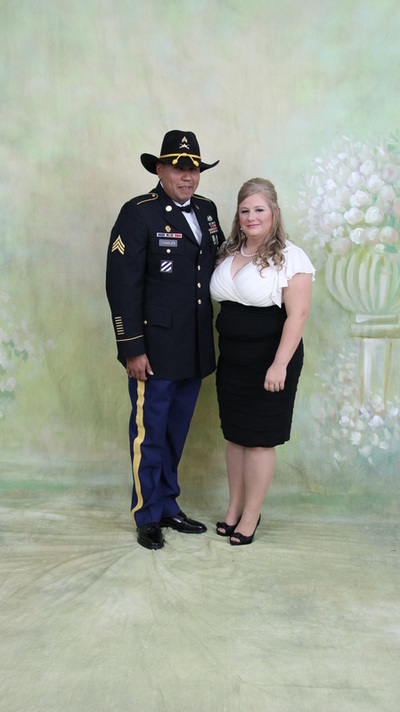 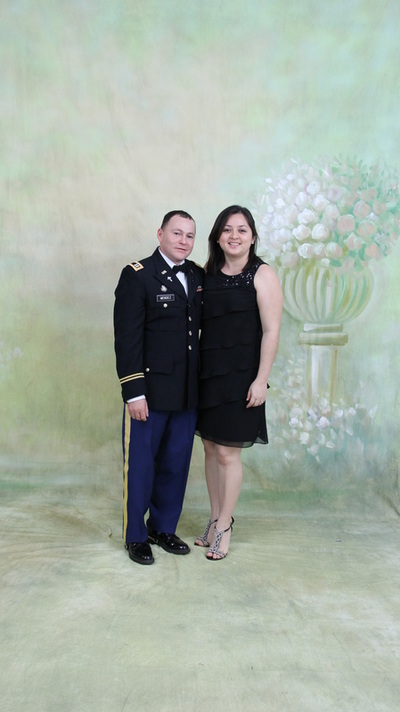 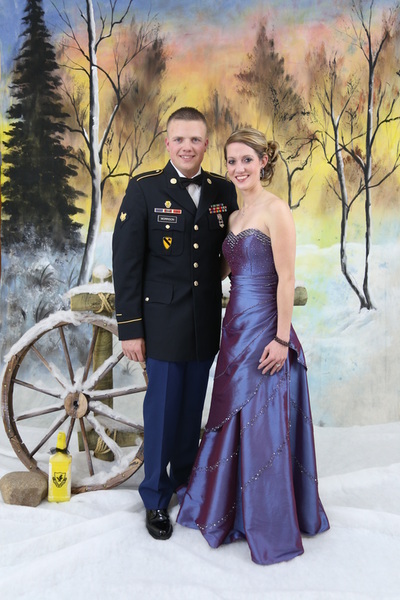 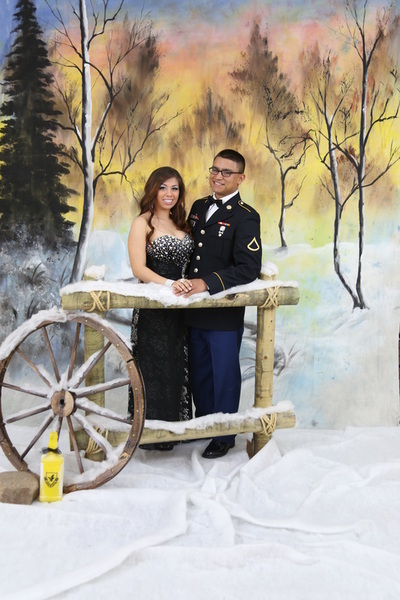 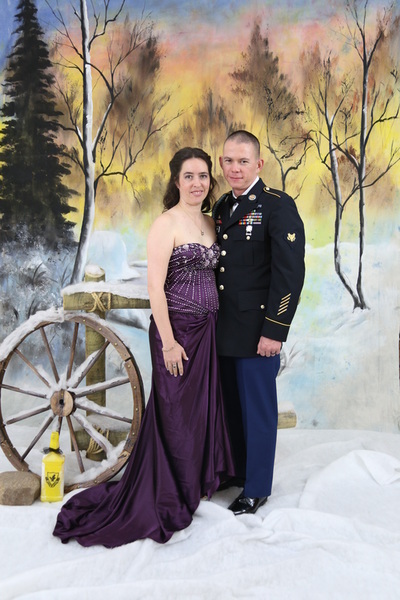 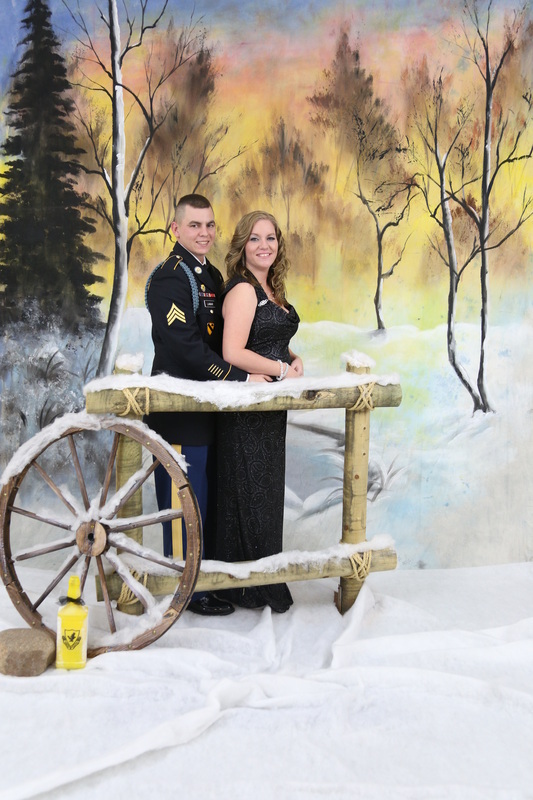 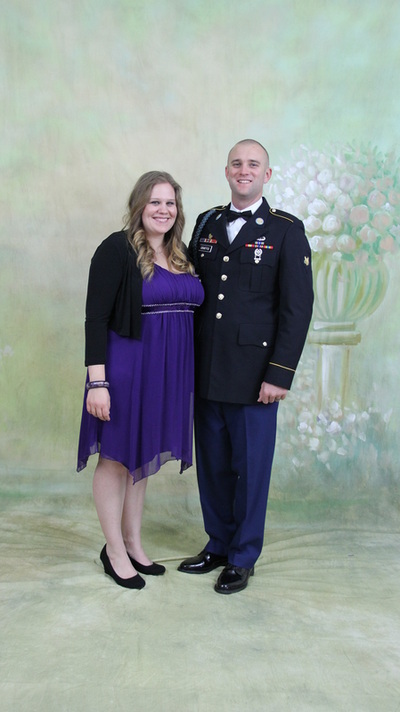 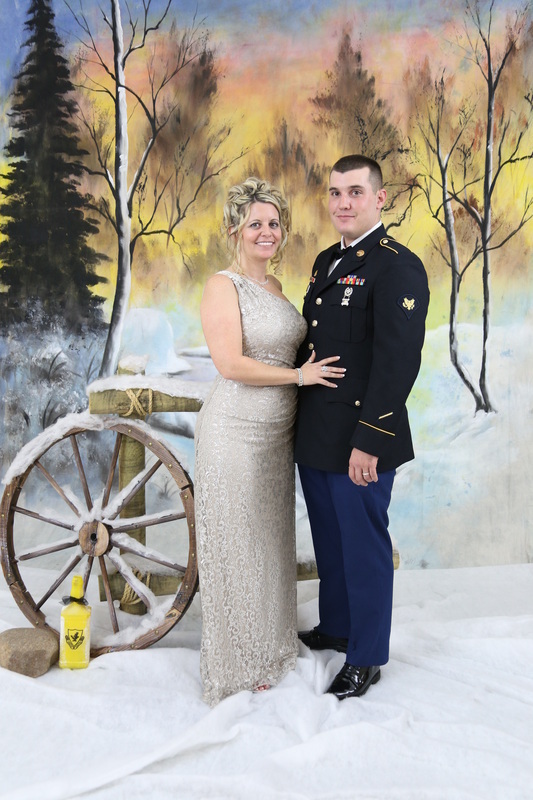 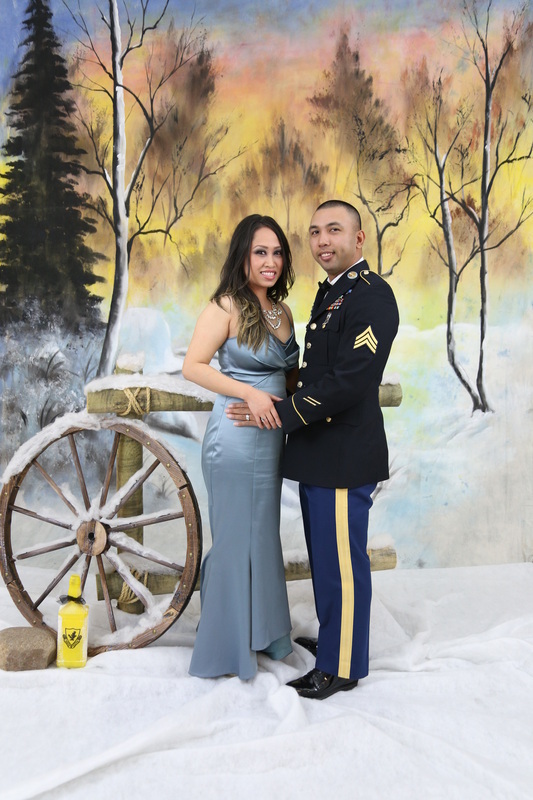 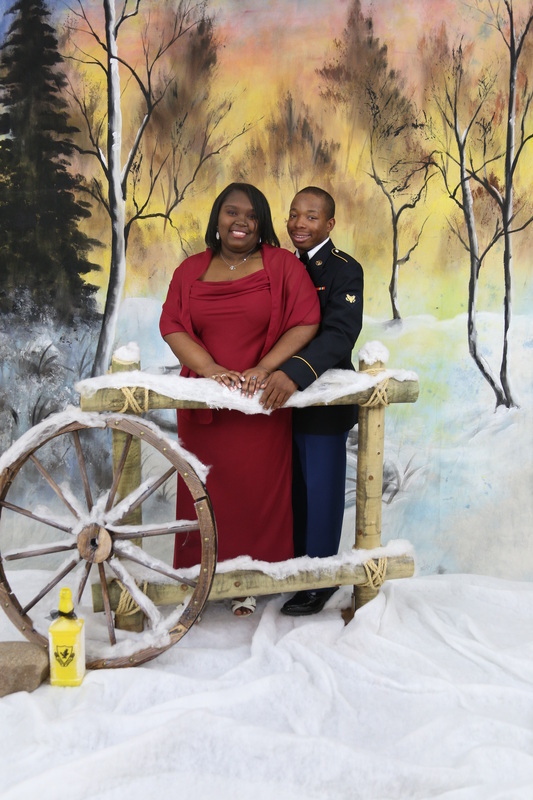 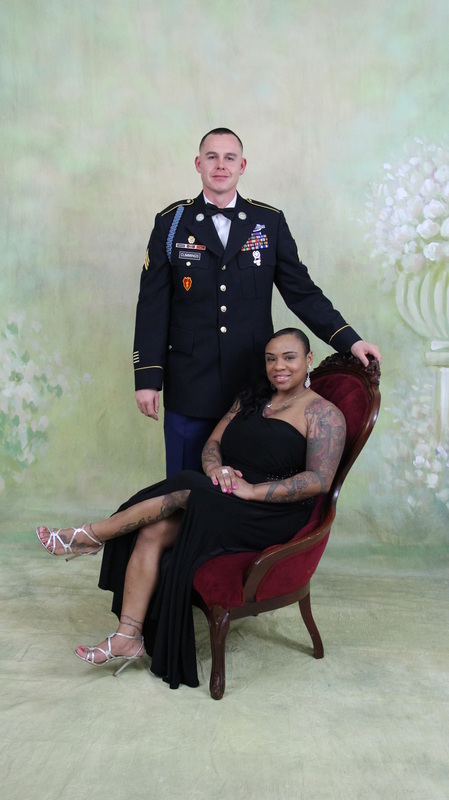 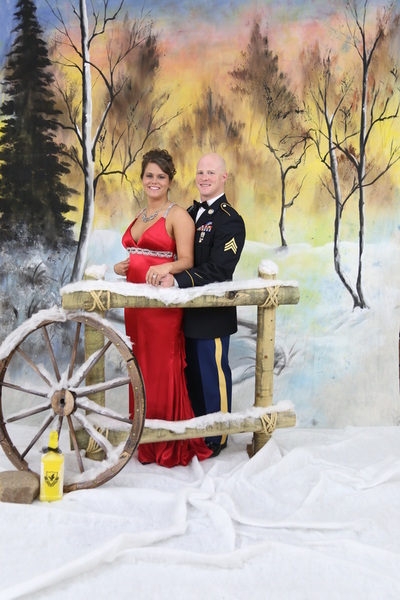 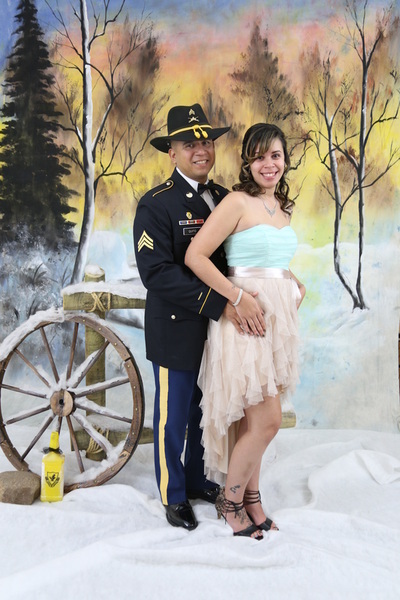 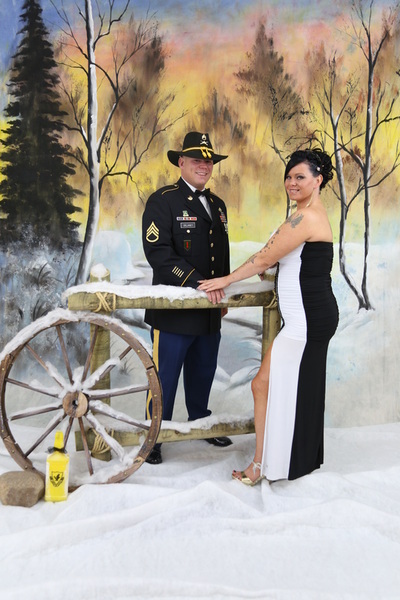 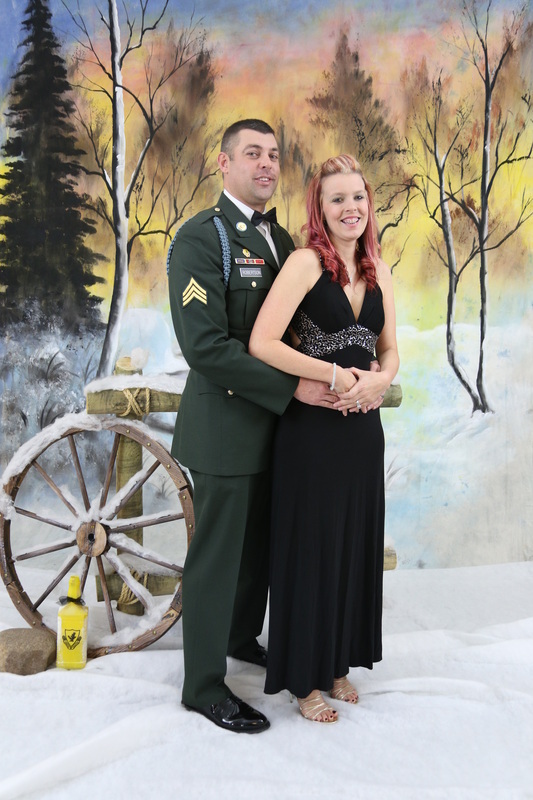 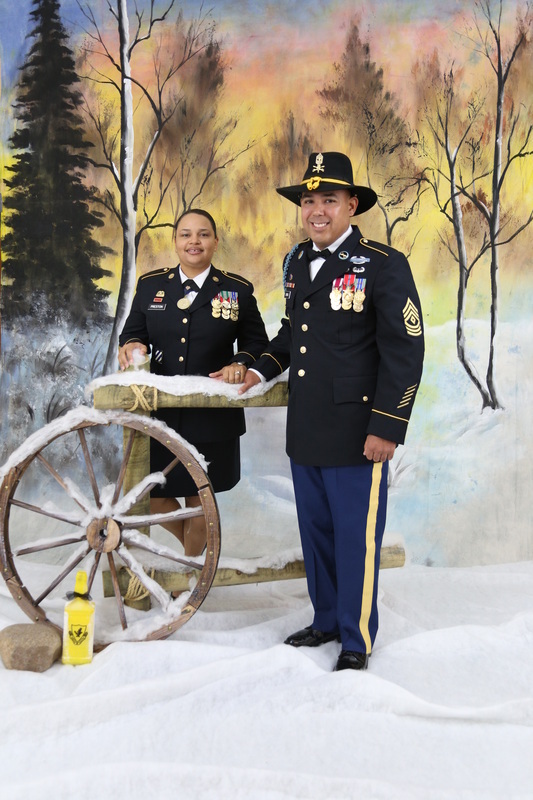 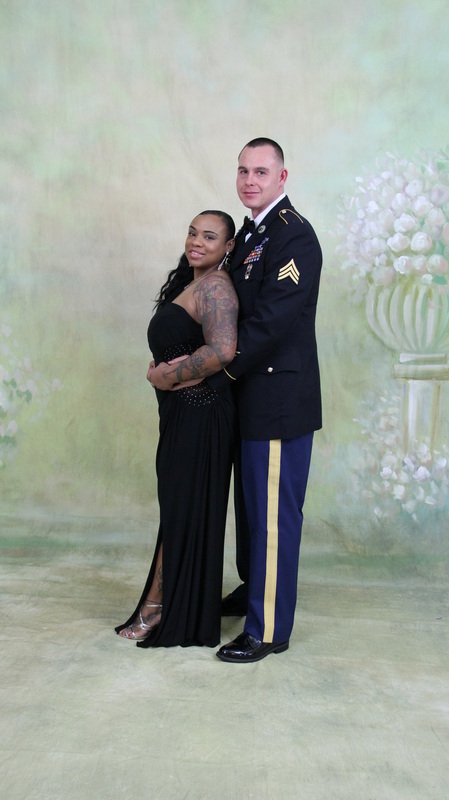 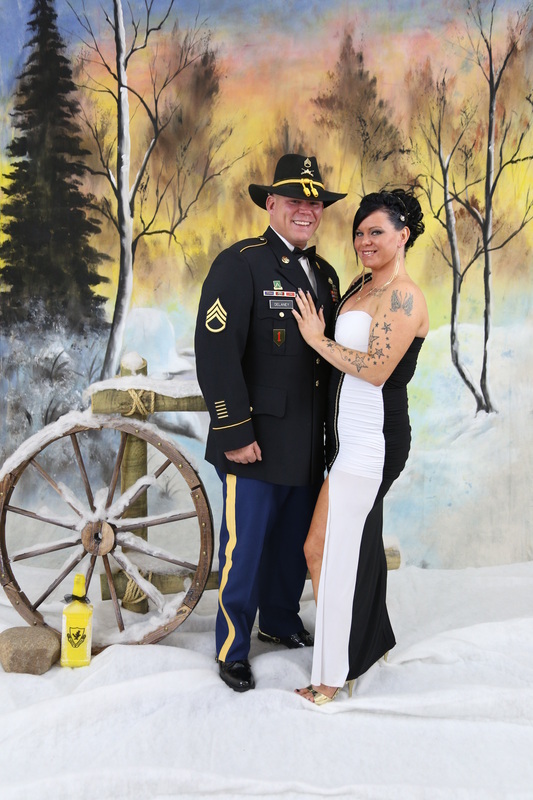 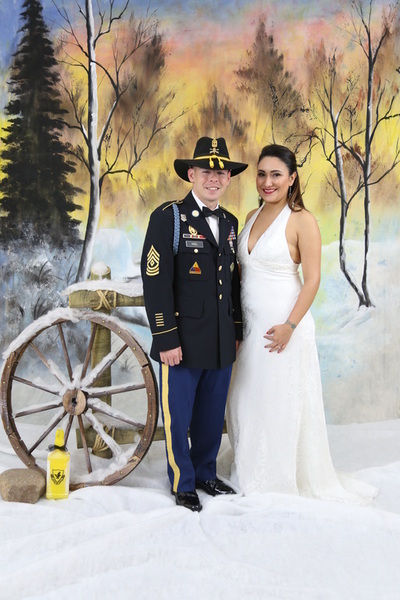 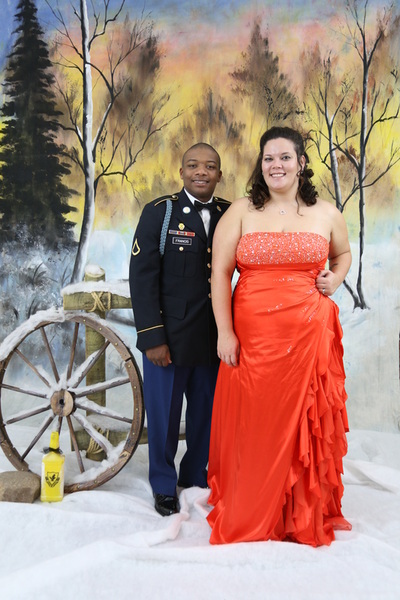 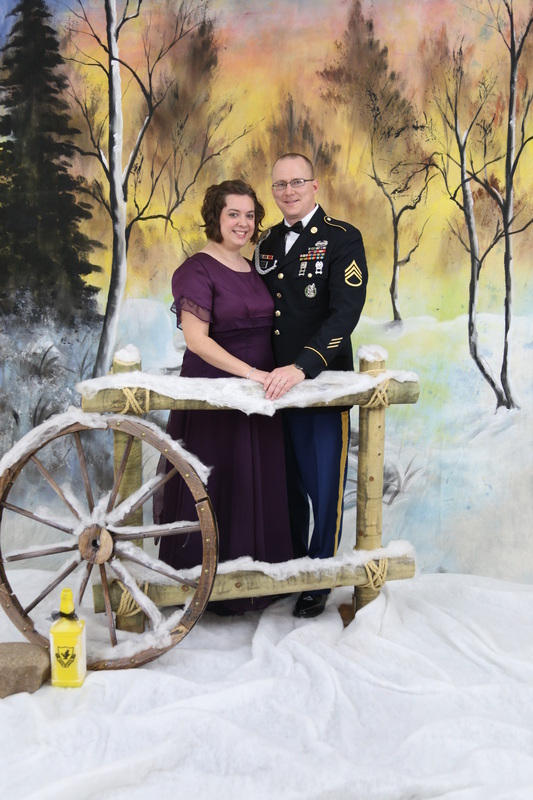 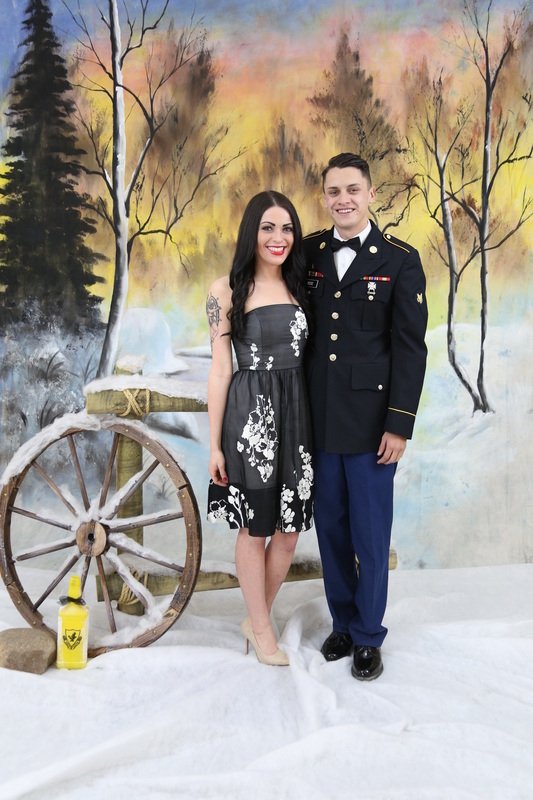 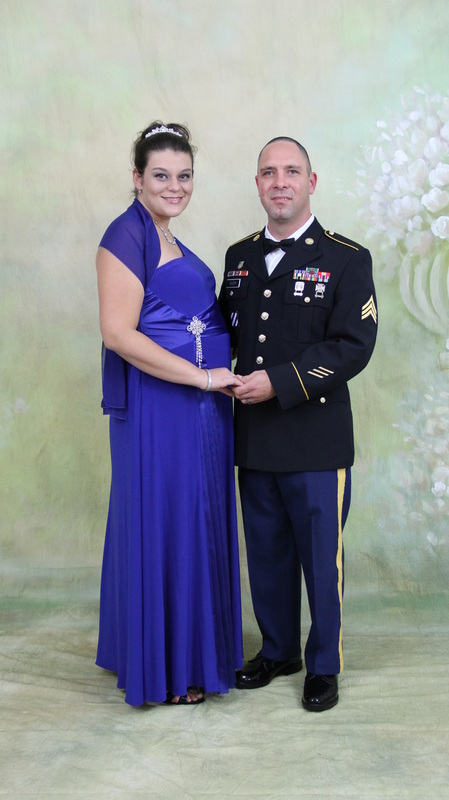 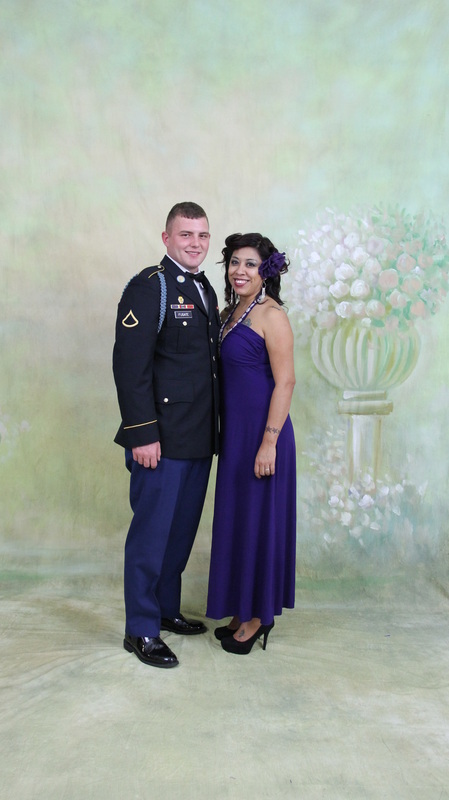 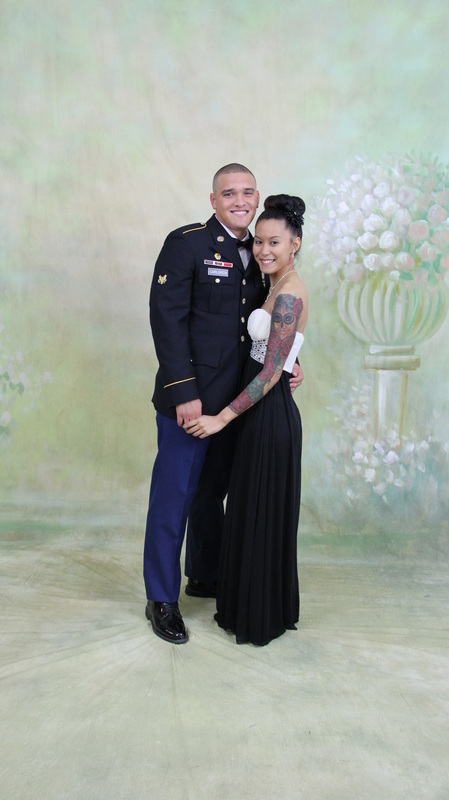 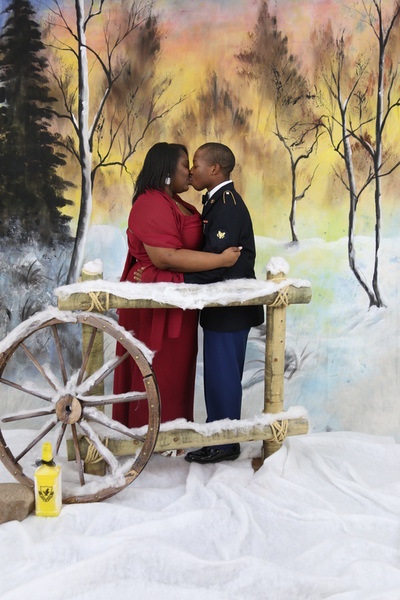 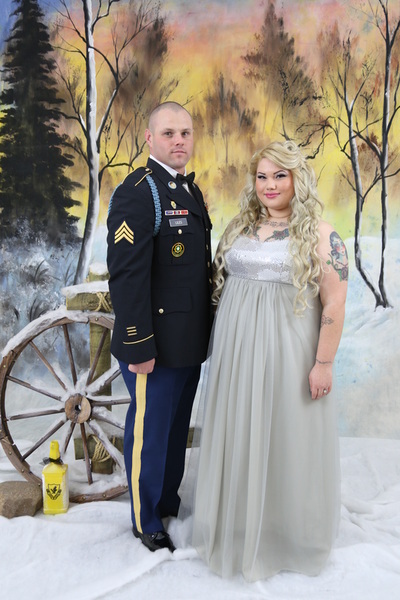 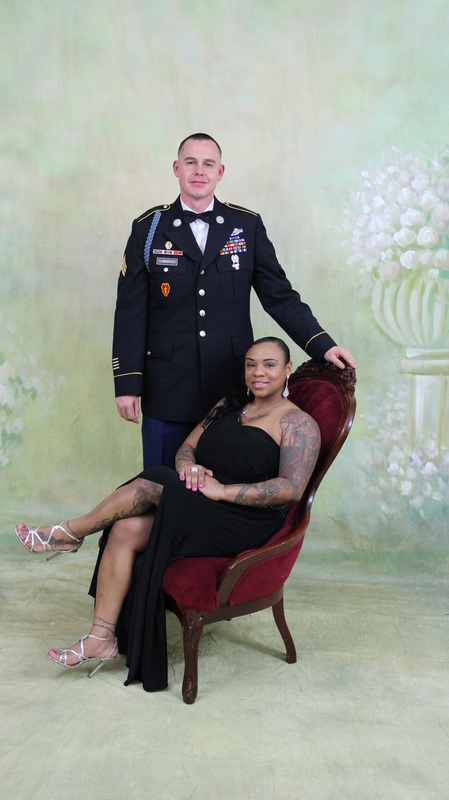 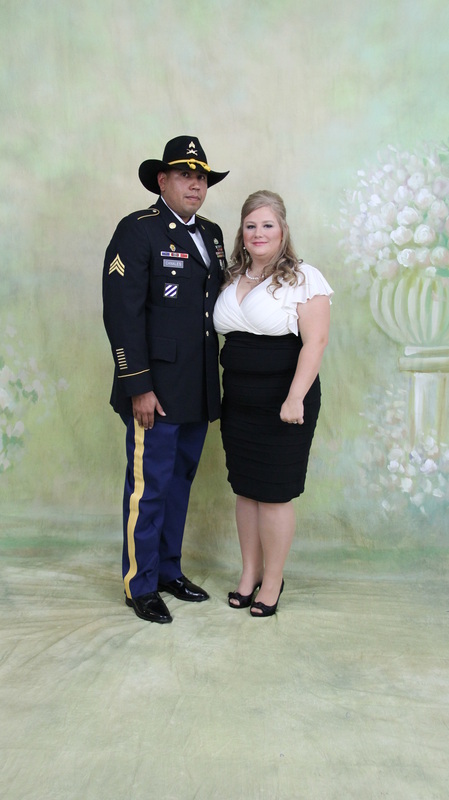 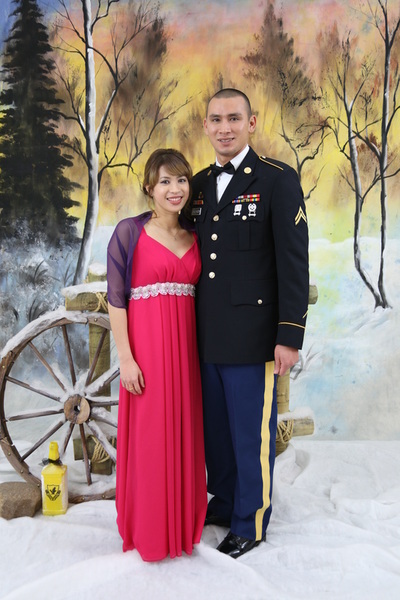 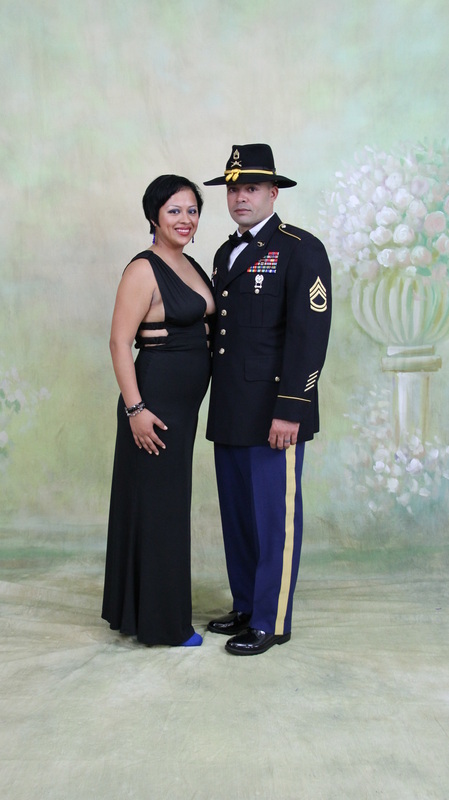 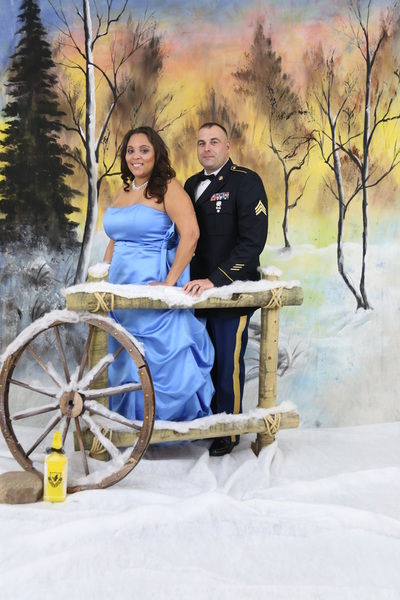 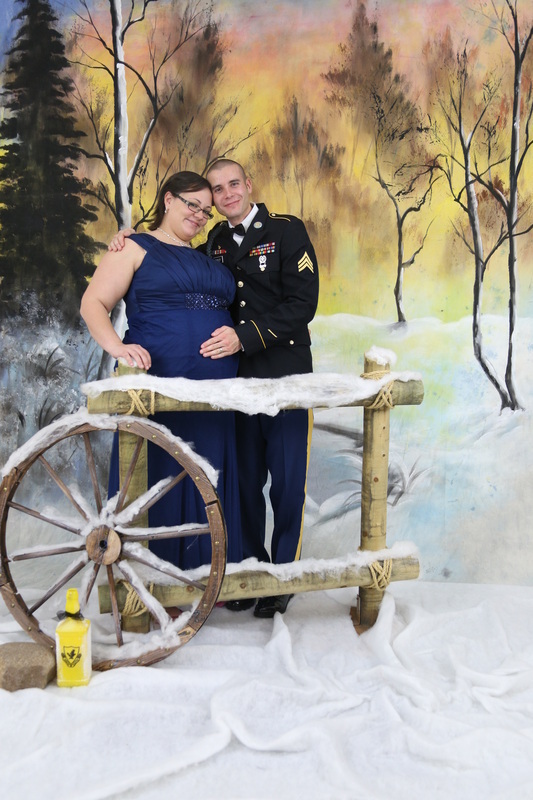 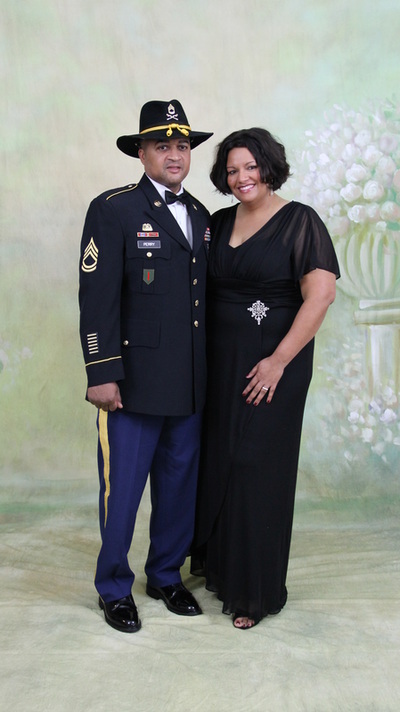 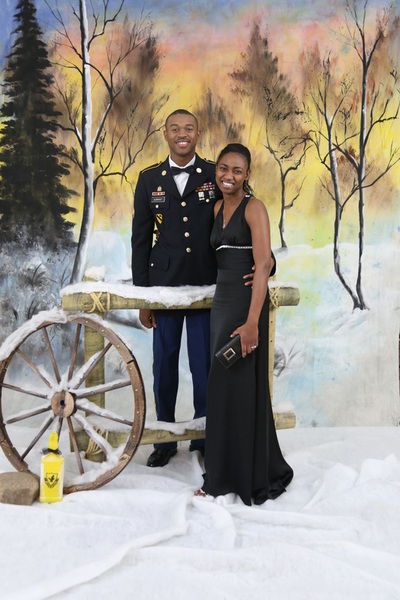 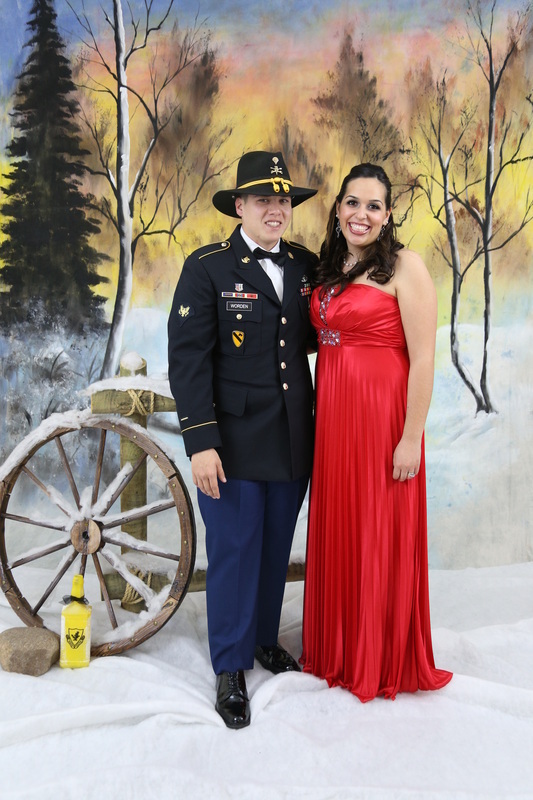 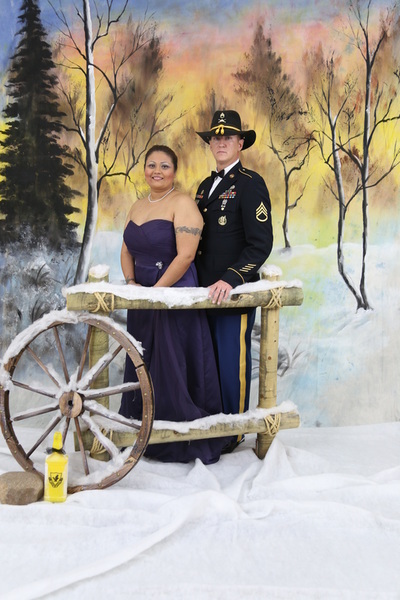 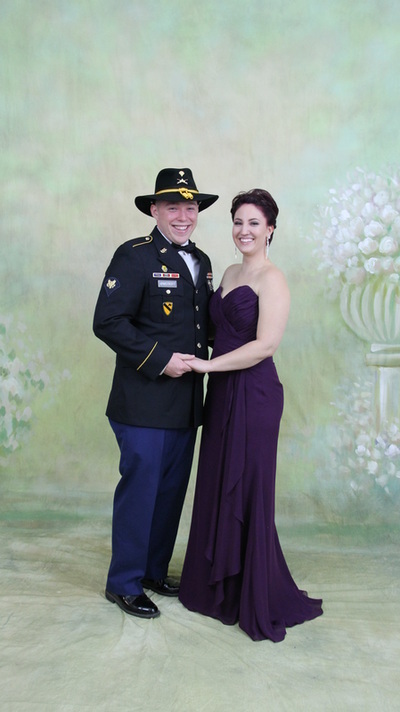 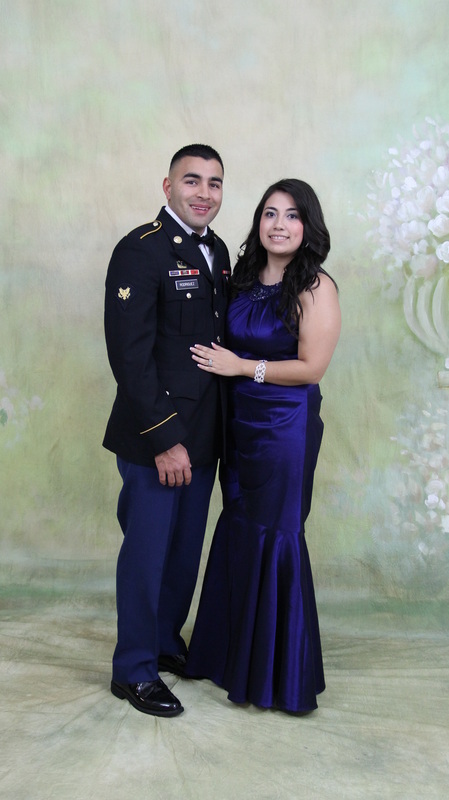 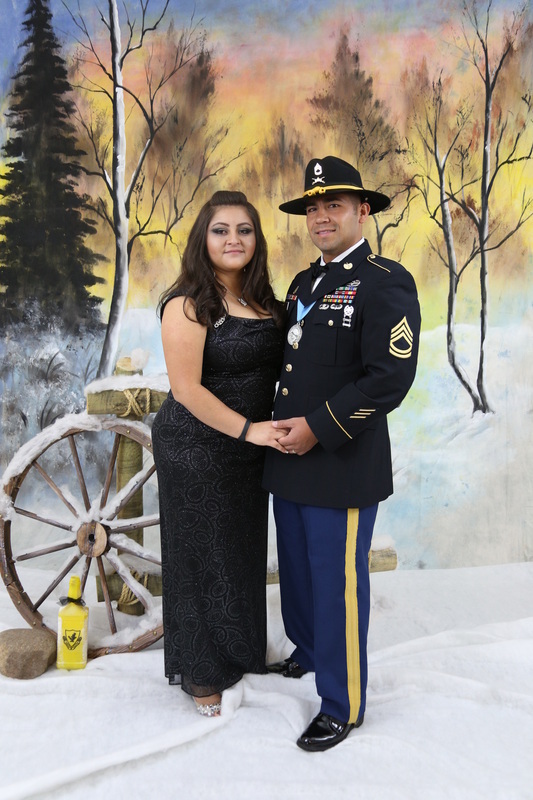 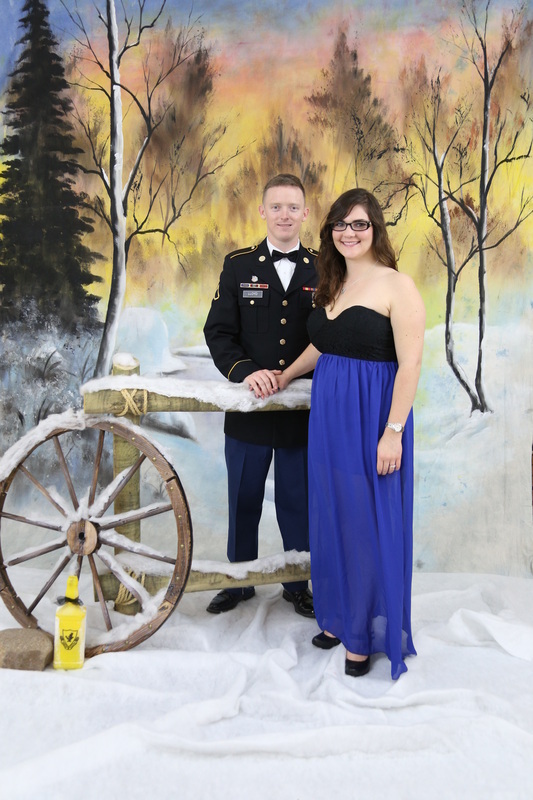 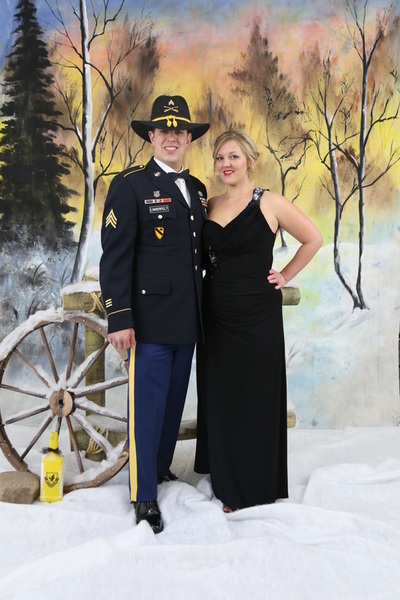 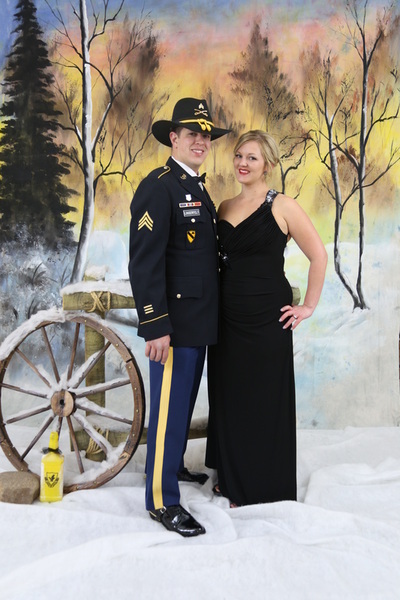 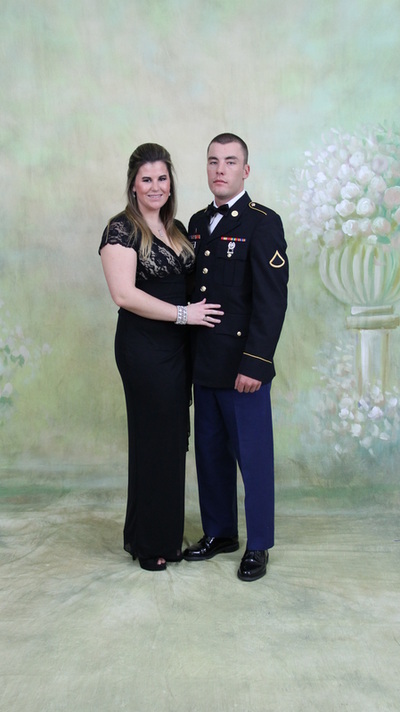 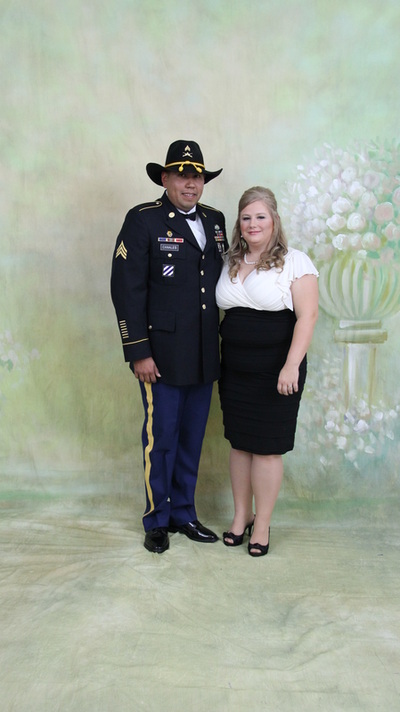 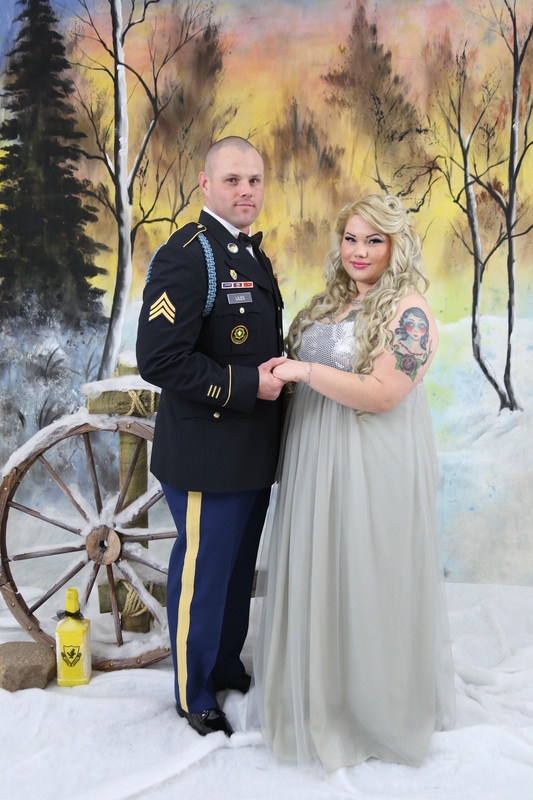 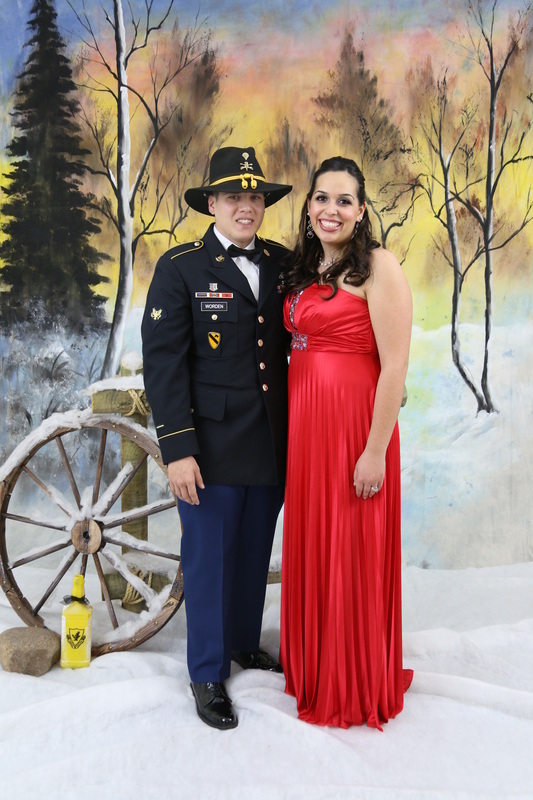 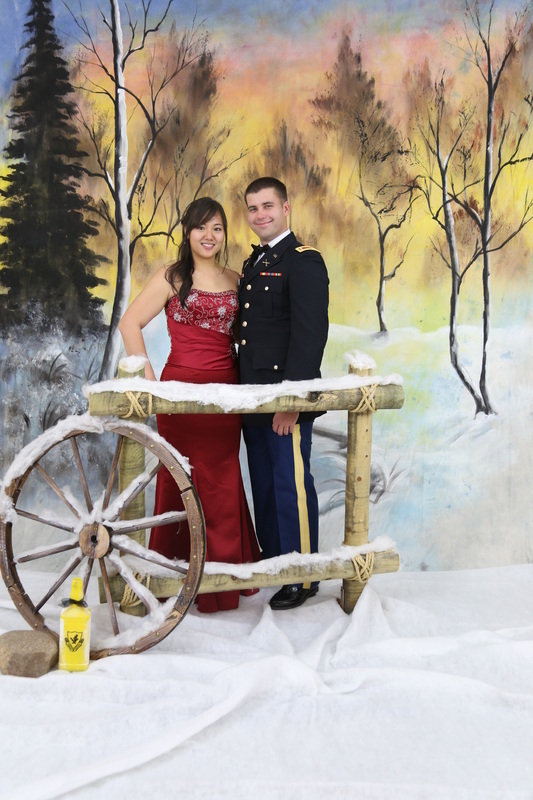 Thank You for choosing us to shoot your Winter Military Ball. We will be shooting with two backdrops for your ball. The one on the left shows the props. The flooring will be a flat surface and will be white. 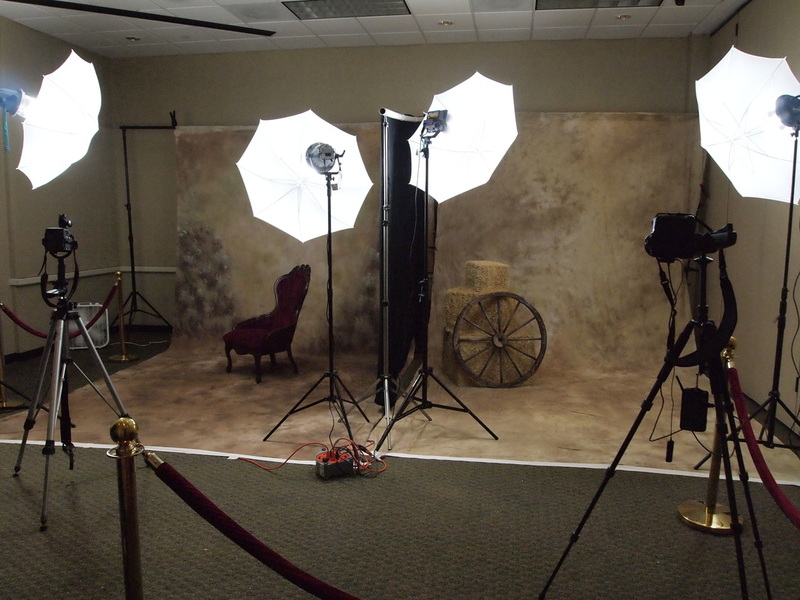 We will be using the two props in this shoot to give it a country feel. 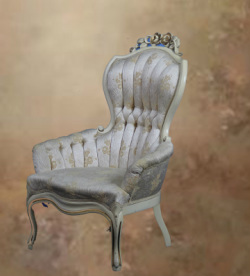 For those of you that prefer a more elegant style we will have a formal backdrop with a beautiful formal chair to use as a prop if you so choose. 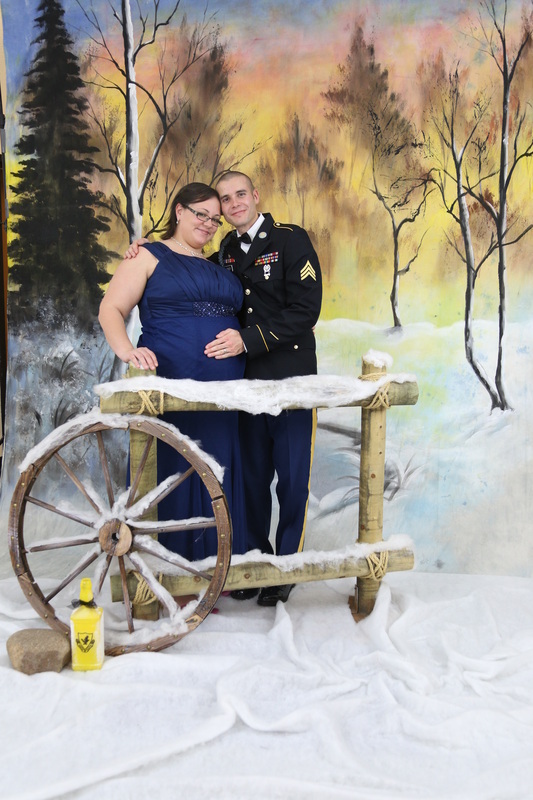 See image to the right. 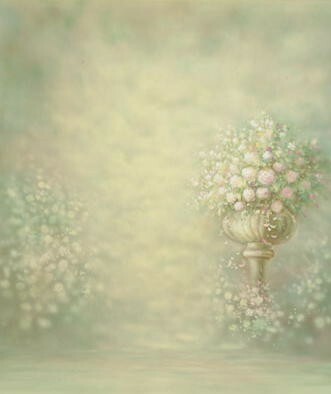 With indoor lighting the image below shows the backdrop. We accept Visa or MasterCard credit or debit, cash and checks. 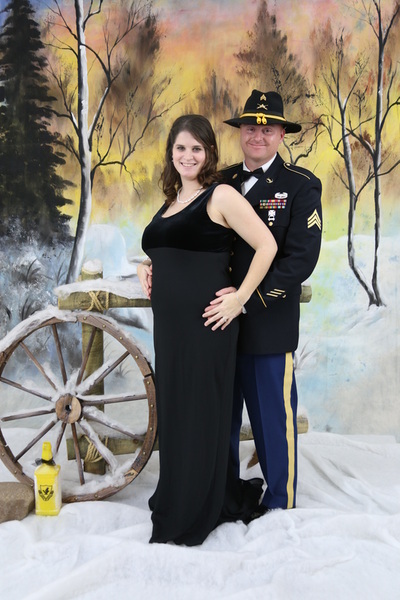 Each ball we have a contest with two prizes. Each contest is always different. 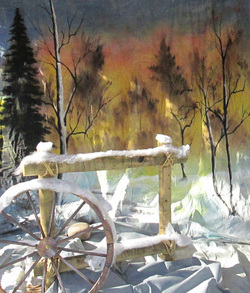 Your contest will run as follows. 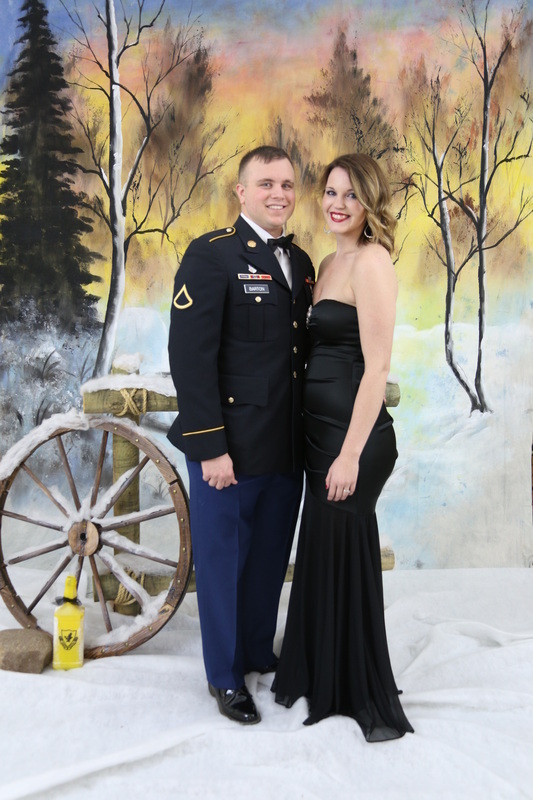 All contestants will send me an email along with a copy of your image that we took the night of the ball telling me why you deserve to the be winner of the contest. 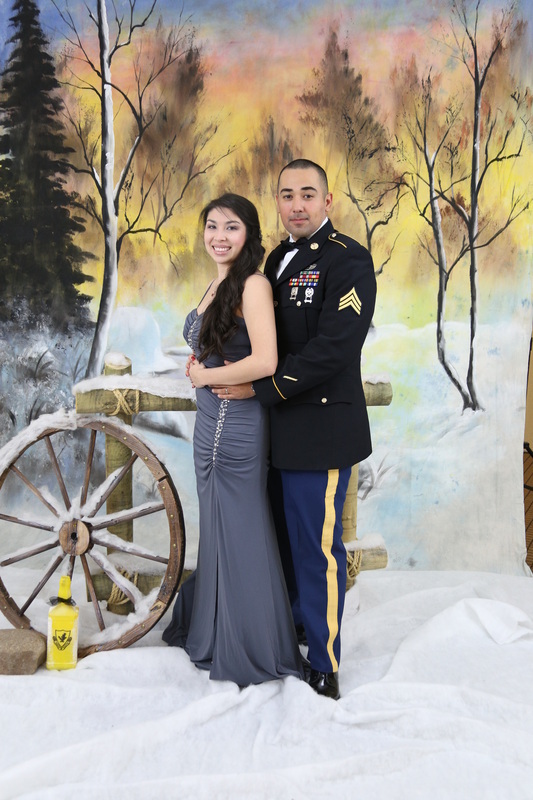 All emails must be in my email box post marked by January 26, 2014, 1:00pm. 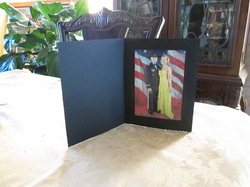 Winners will be notified by email within 24 hours of the deadline for the contest. 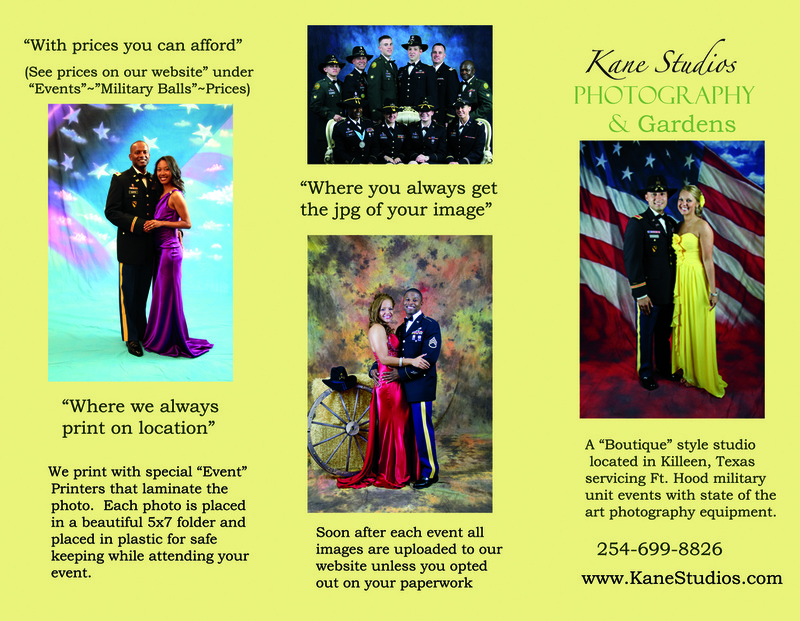 All winners will be posted on Kane Studios Photography facebook page as well as the website. 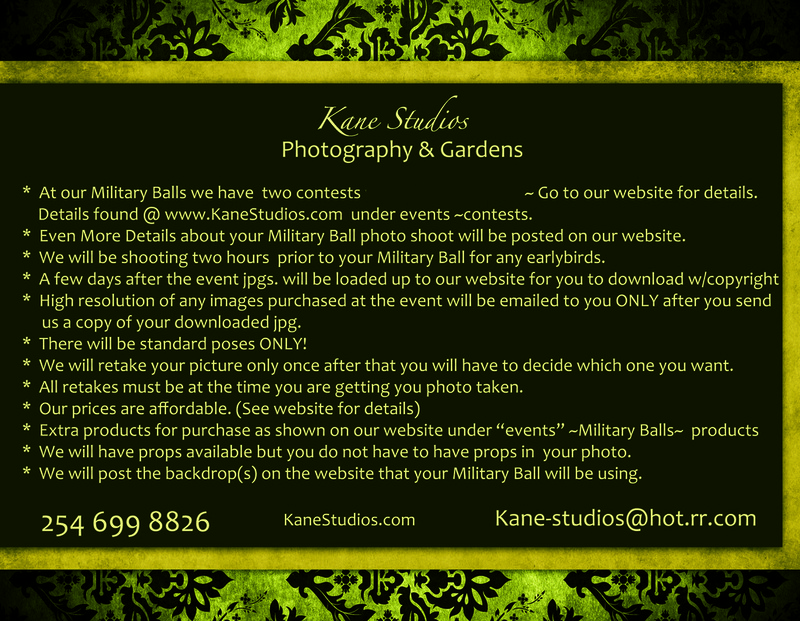 All emails sent to : Kane-studios@hot.rr.com with "Contest" in the subject line. 1st place winner ~ 15 minutes in studio w/your family, copyright to all images taken, and a 16x20 laminated and board mounted of a selected image that we took. 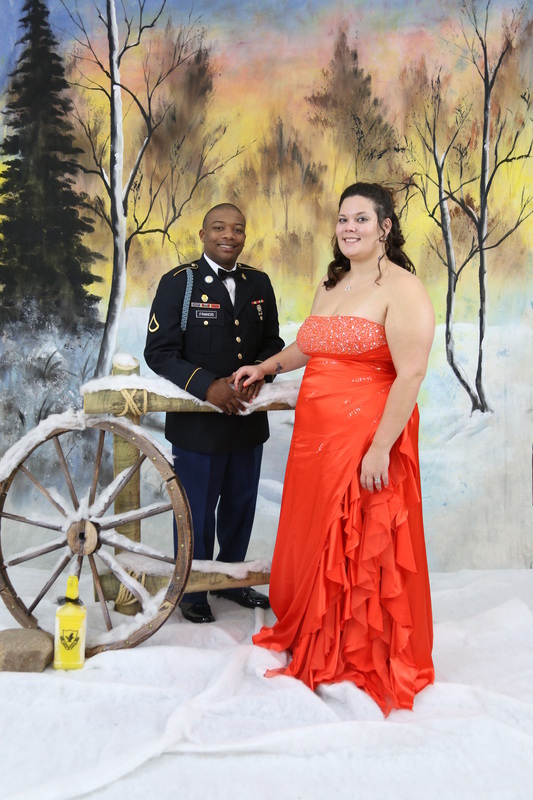 2nd place winner ~ Your image we took the night of the ball..... printed, laminated, and board mounted as an 11x14. 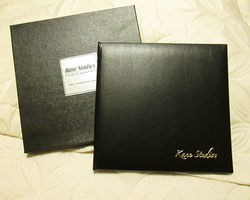 You get a 5x7 printed on location in a beautiful Kane Studios black folio. 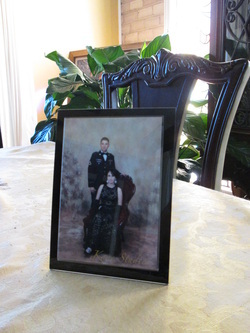 All prints are automatically laminated as they are printed with a commercial event printer. 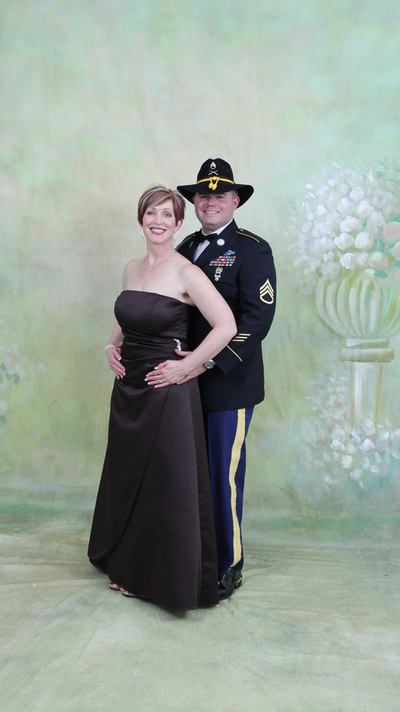 Click on your image and it will enlarge. 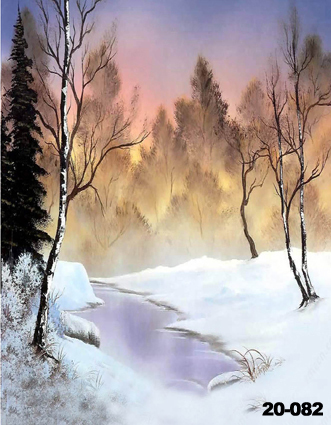 Then right click and save image as...enjoy!